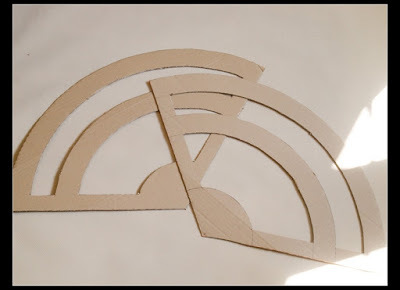 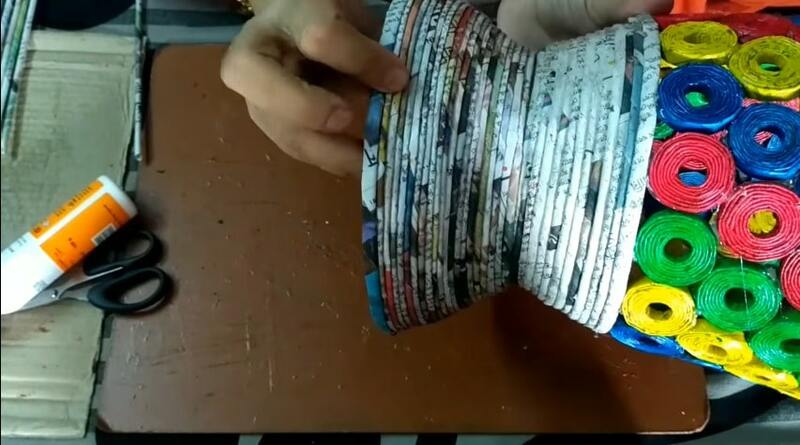 I continue with my boxes made with paper tubes, this time I made it round! 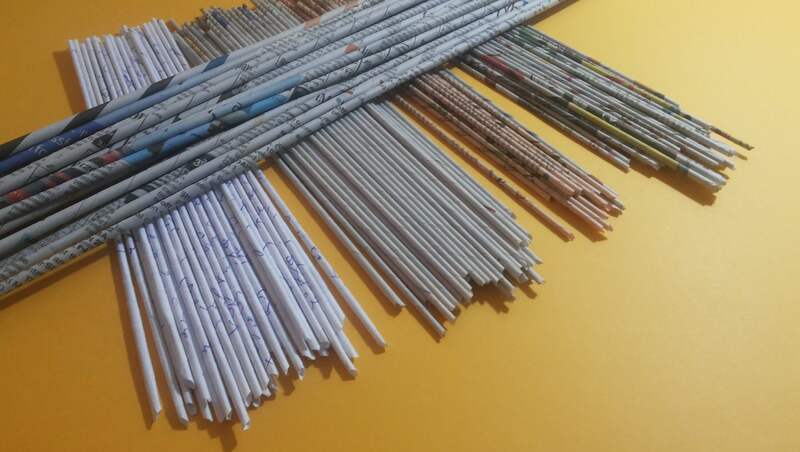 First you need a lot of paper tubes (see) . 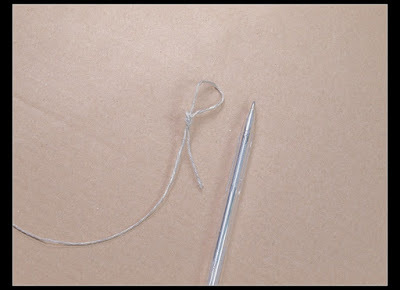 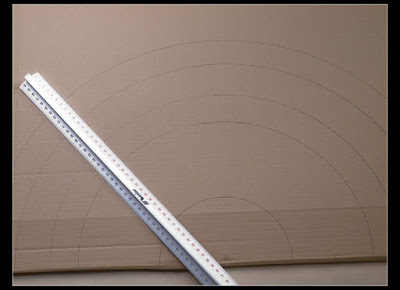 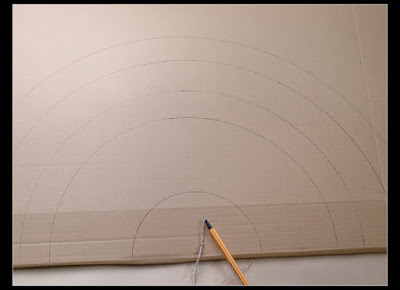 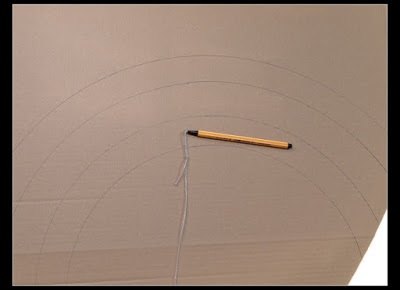 I made the box below the coiling on itself the first tubes and continuing until you have a round of 15 cm in diameter. 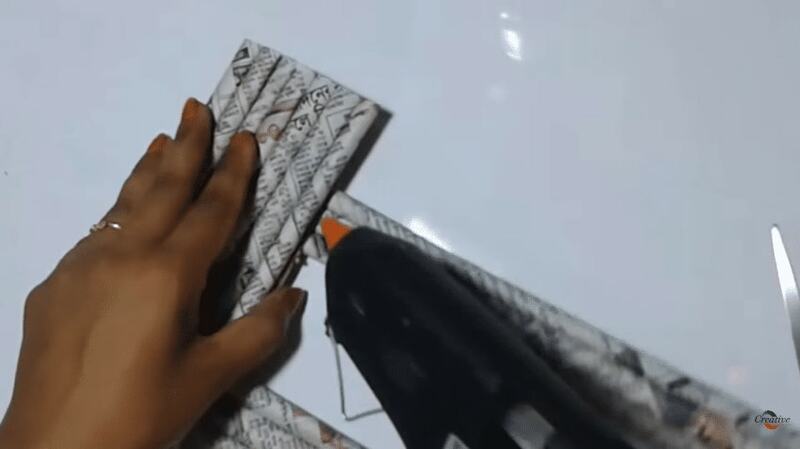 I smeared glue well to make it pretty tough. 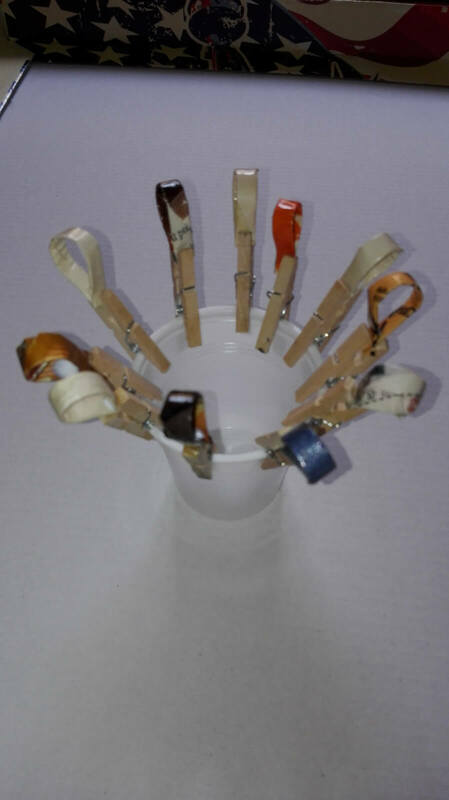 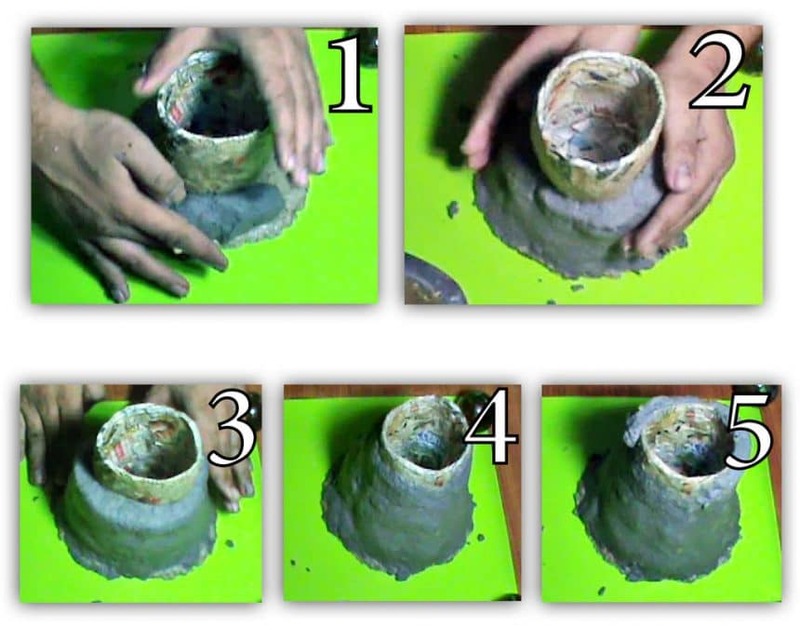 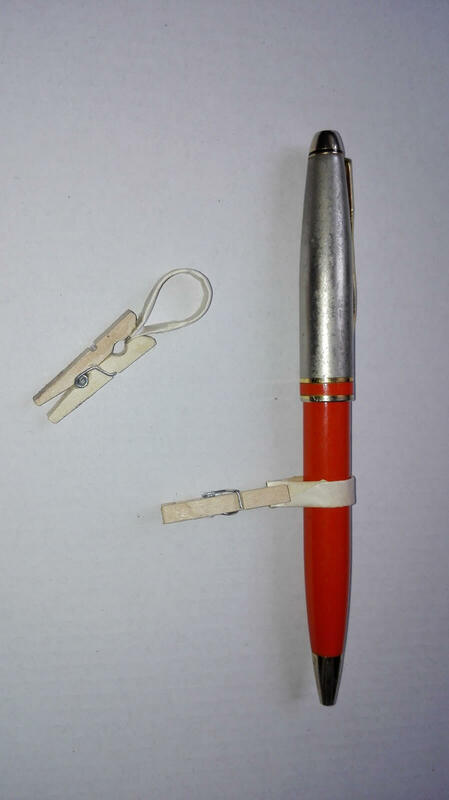 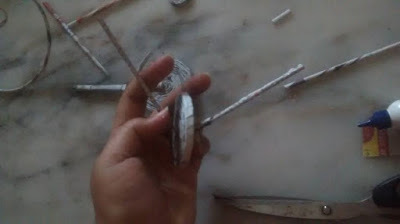 From tubes, I cut 36 pieces 5 cm in length and I folded in half forming around and I glued together the two ends. 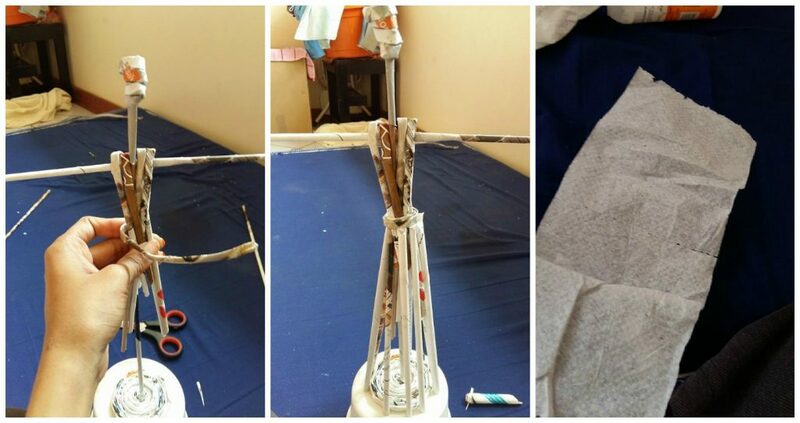 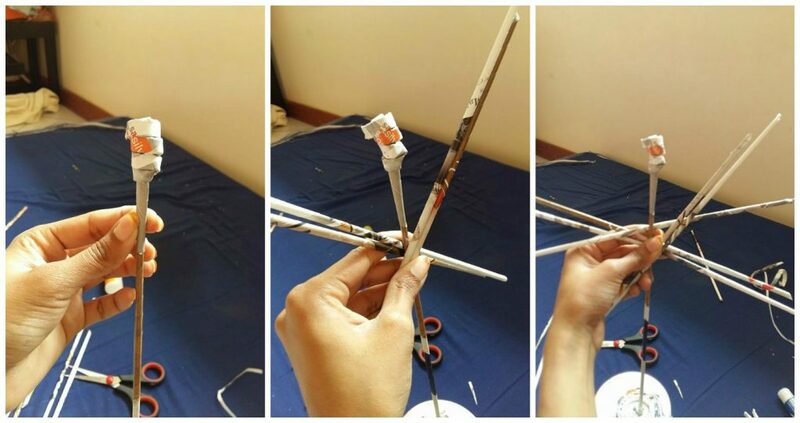 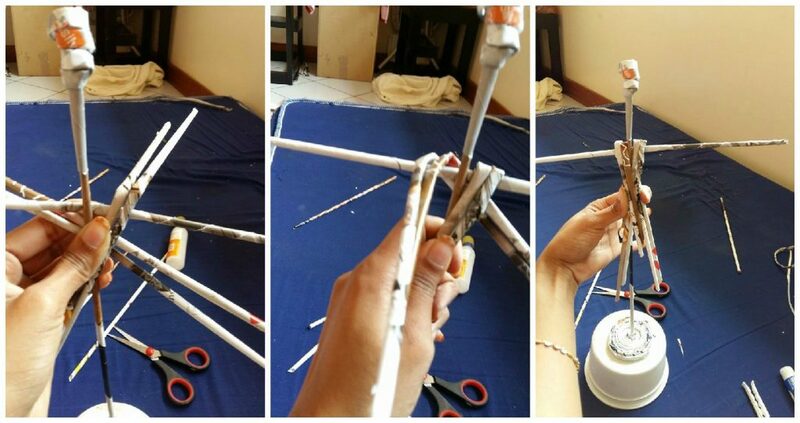 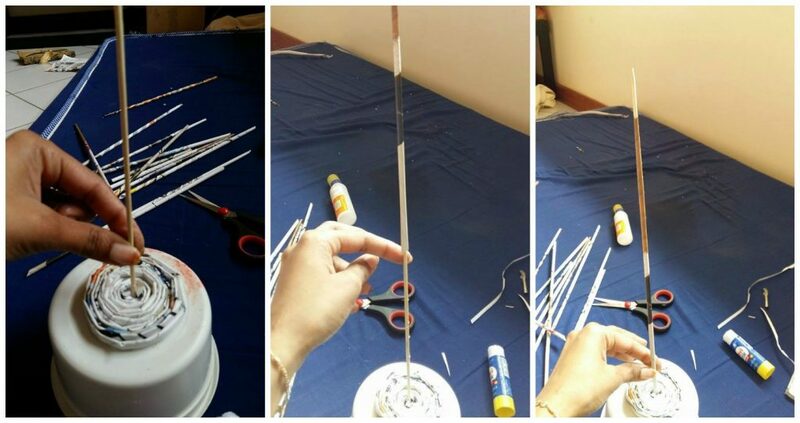 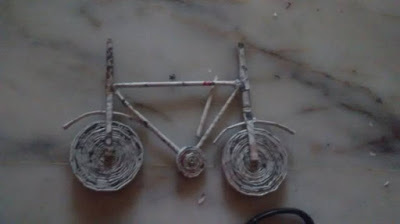 I spent well the glue on the rods and I left to dry them well. 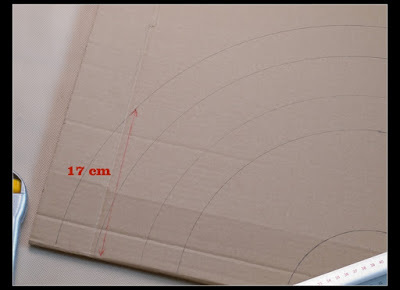 I have them so glued to the bottom of the box as seen in the photo below. 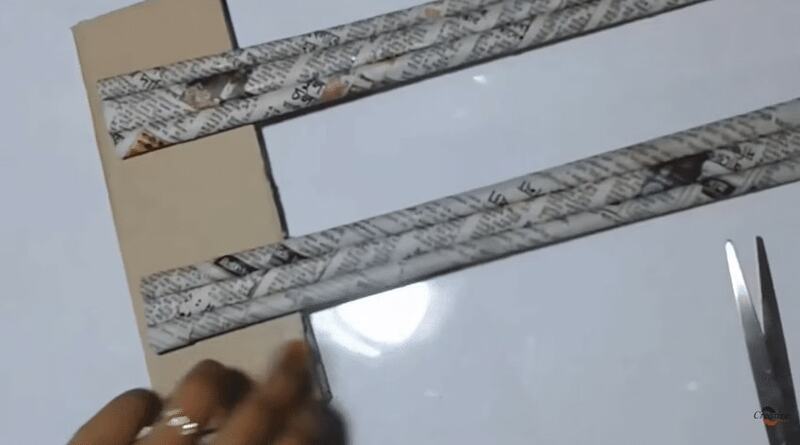 Made a second round pasting them upside down. 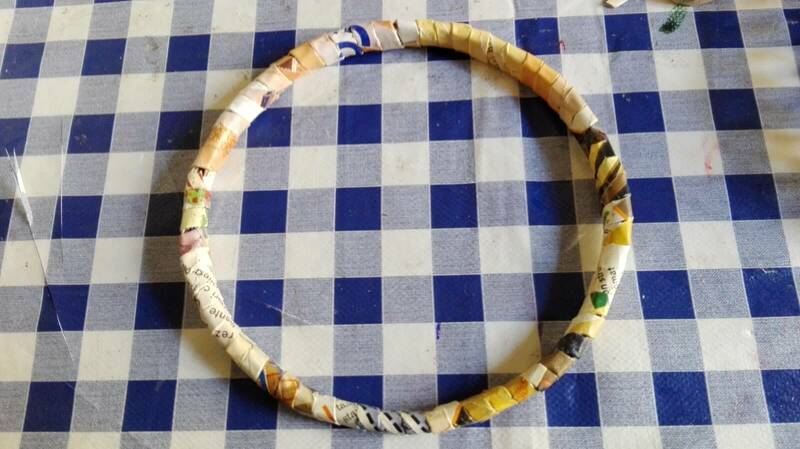 Always with the tubes I made a circle of top measurement of trash. 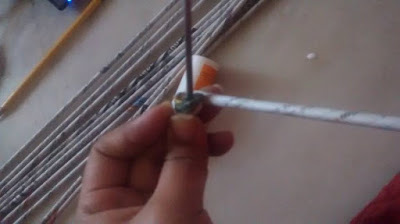 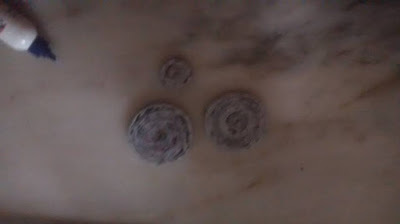 I pasted above the rods and I did it to dry well. 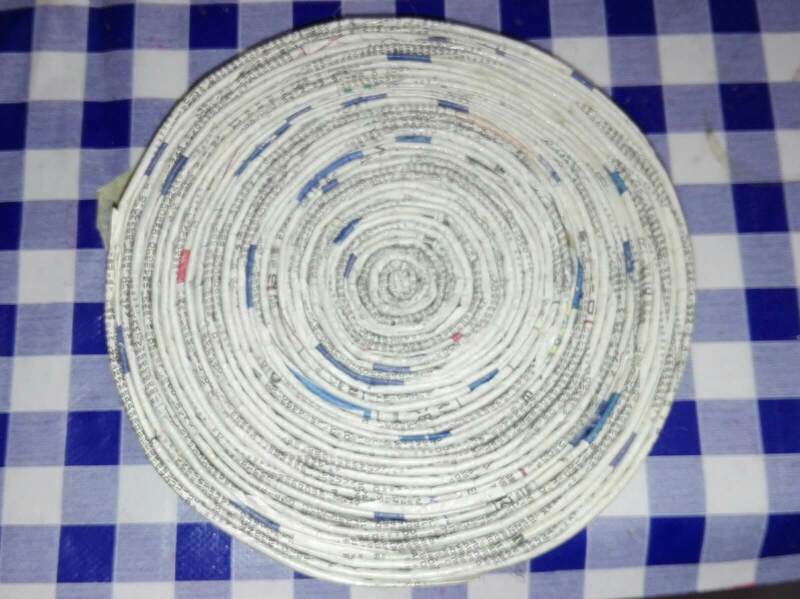 The basket is made. 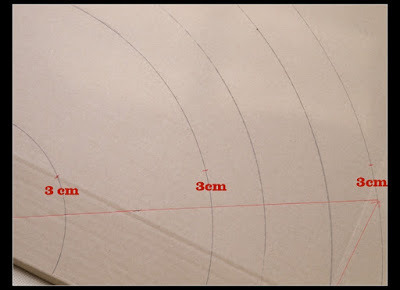 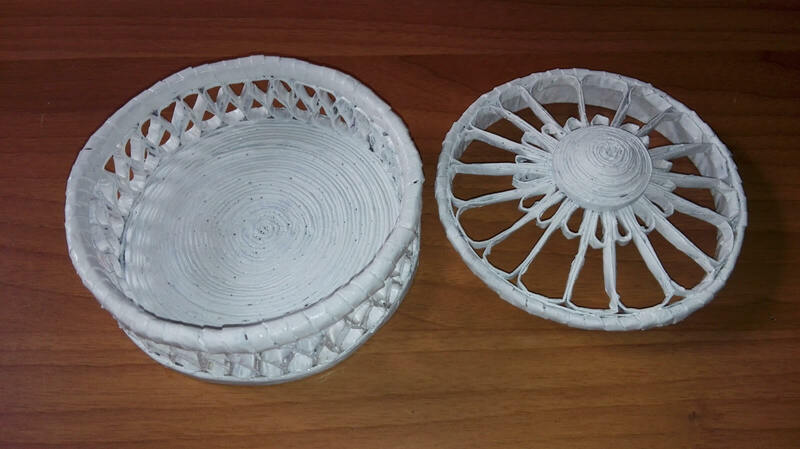 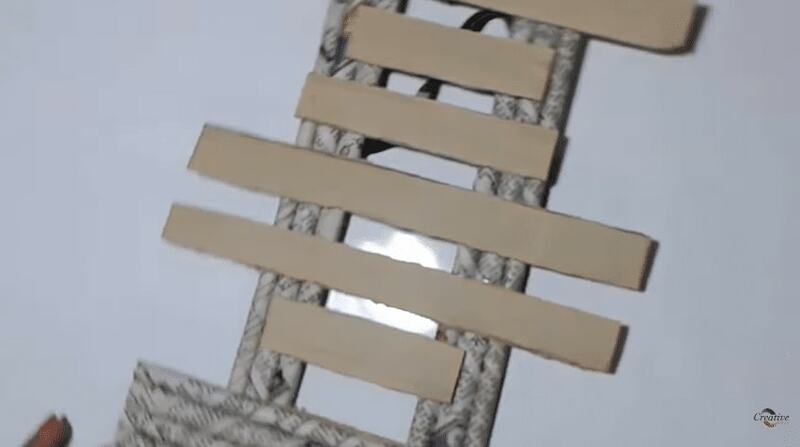 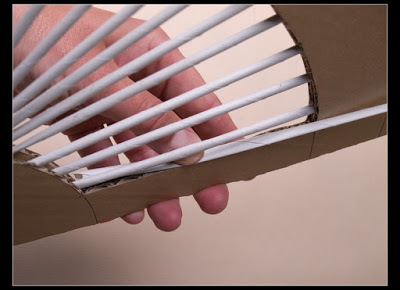 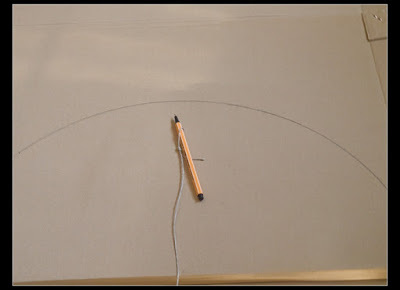 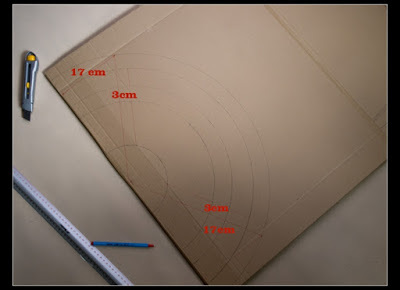 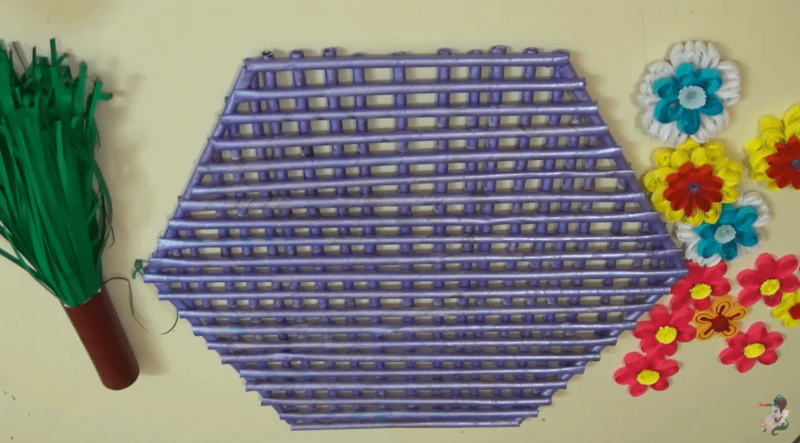 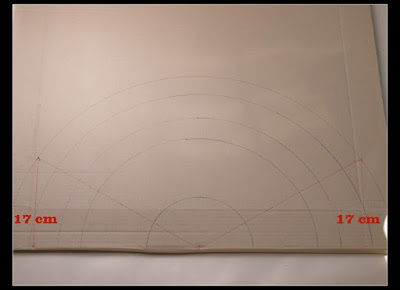 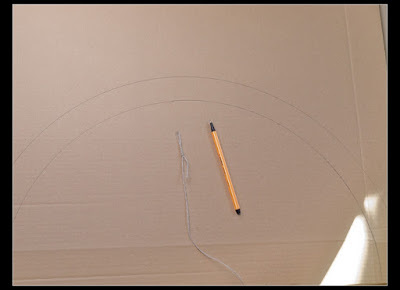 I made another circle of measurement above the basket, I spent a lot of glue to harden well. 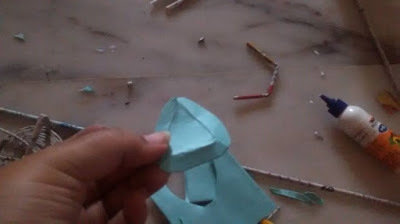 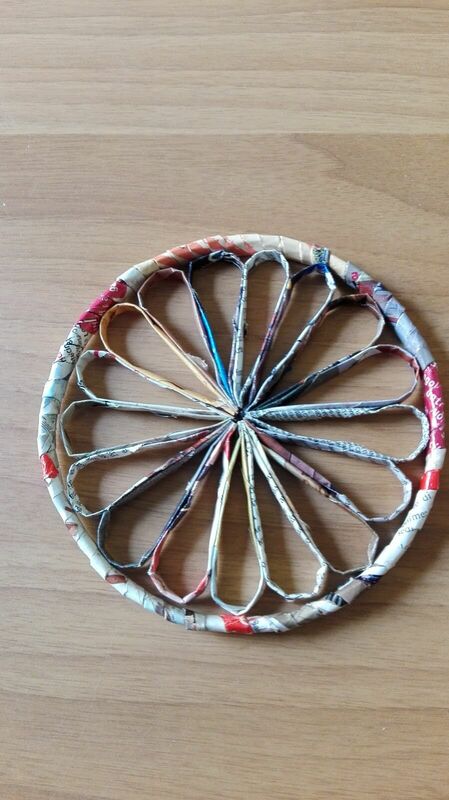 I folded in half other tubes and I formed the petals, which I included in the circle before. 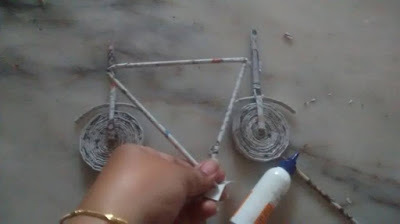 let it dry well and then I painted everything with white acrylic paint mixed with glue. 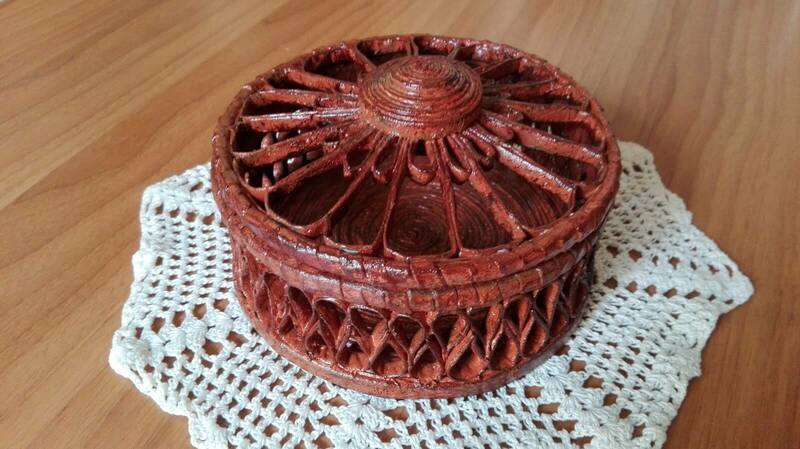 I again painted the box with the brown leather color I then soiled with a dry brush darker brown. 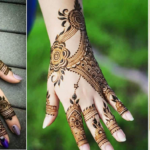 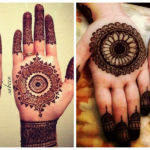 I really like and you? 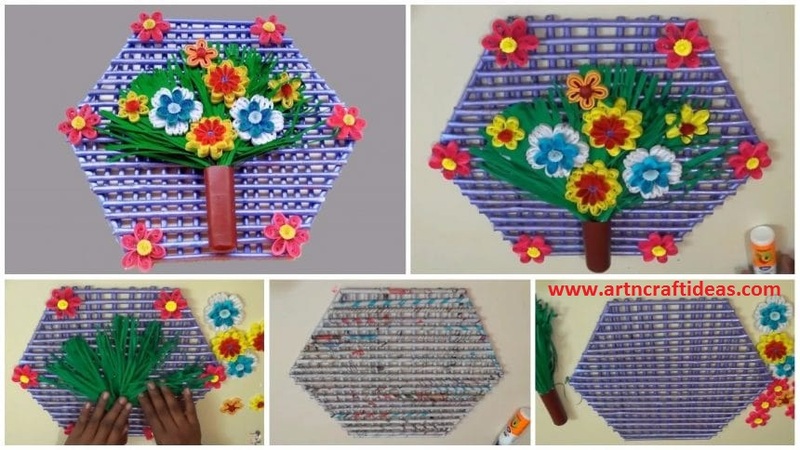 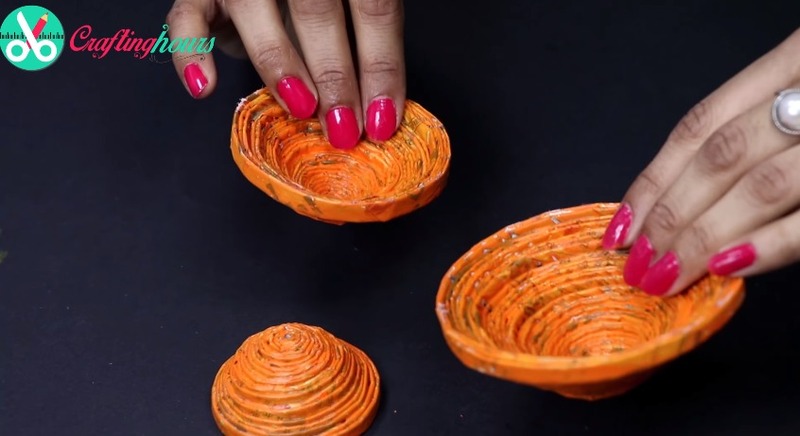 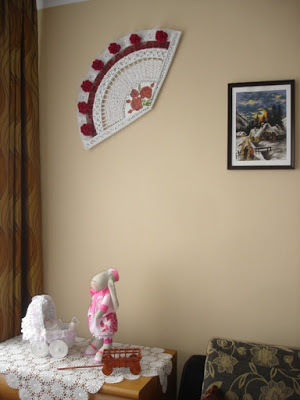 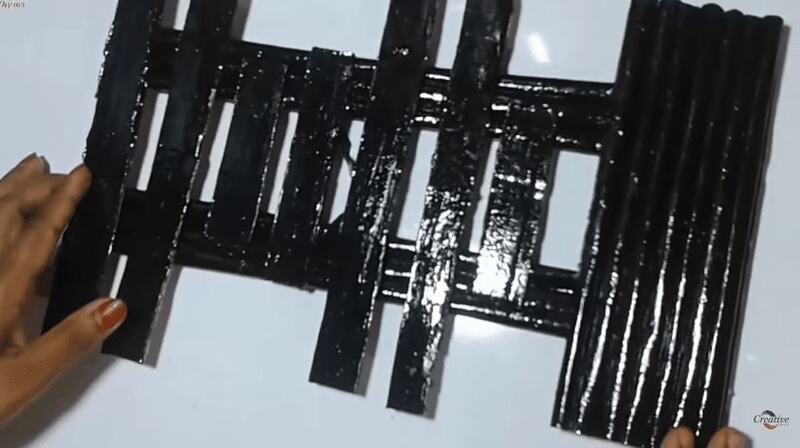 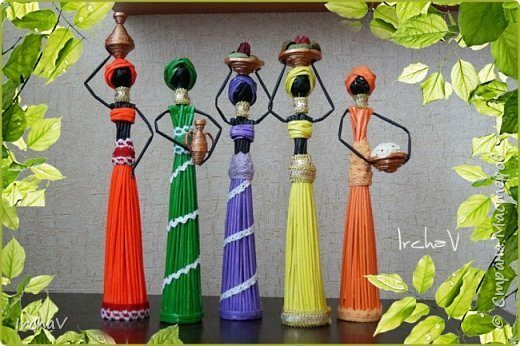 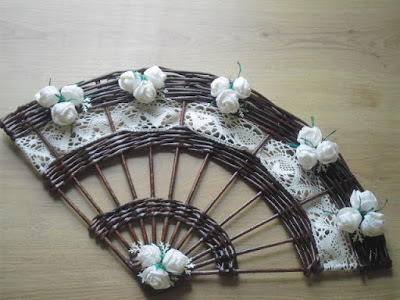 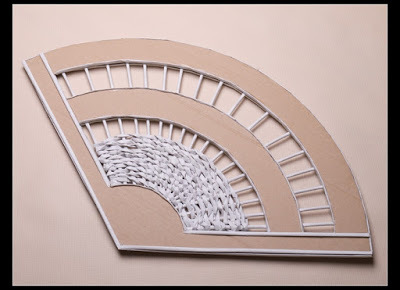 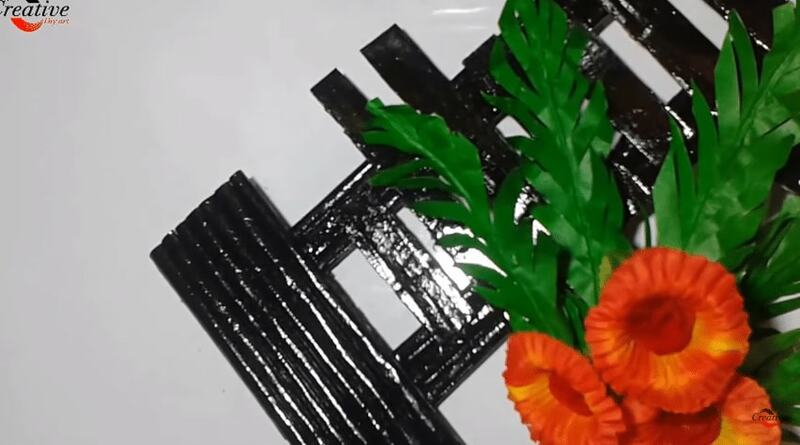 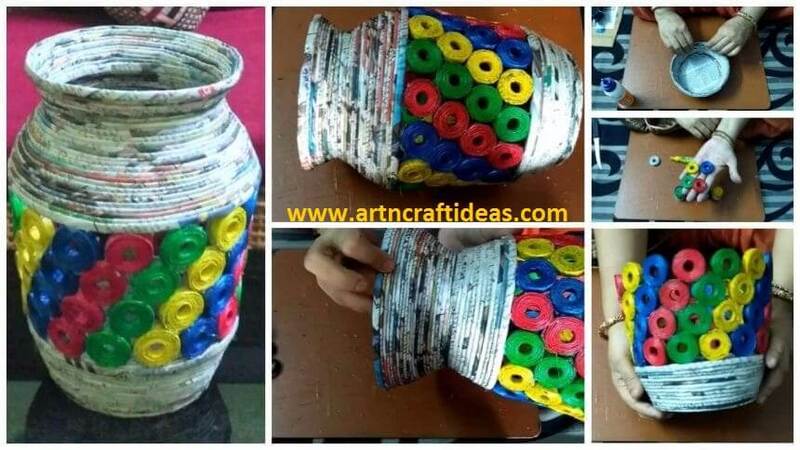 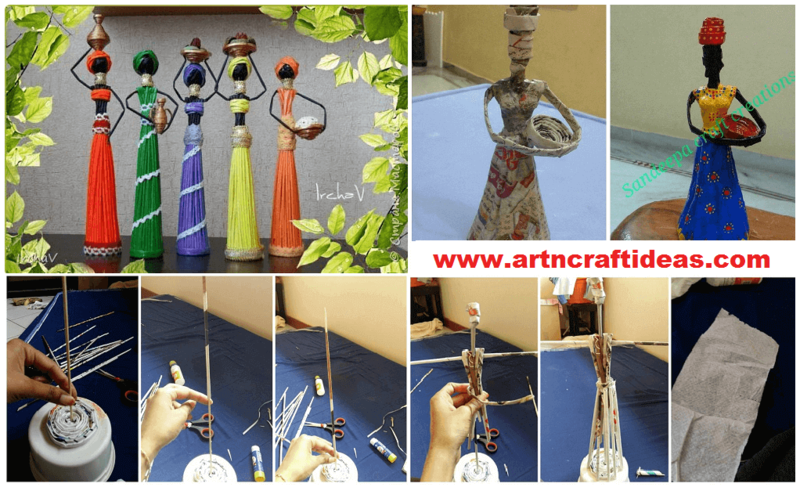 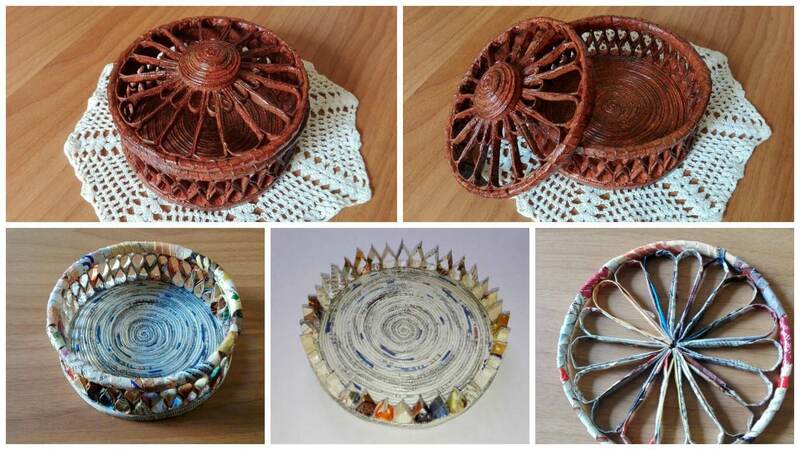 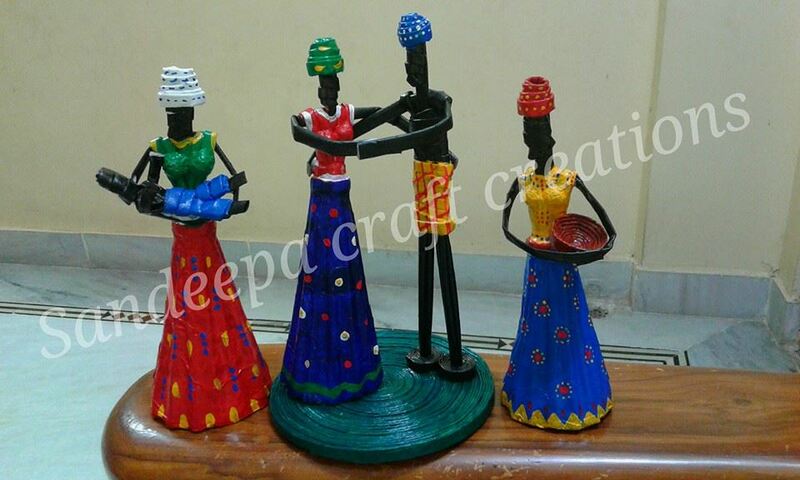 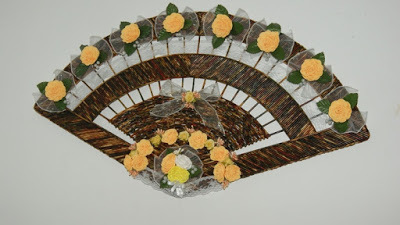 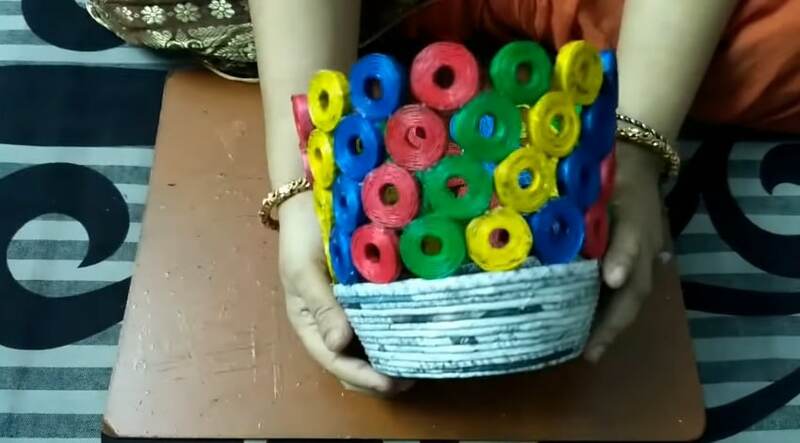 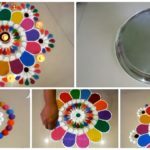 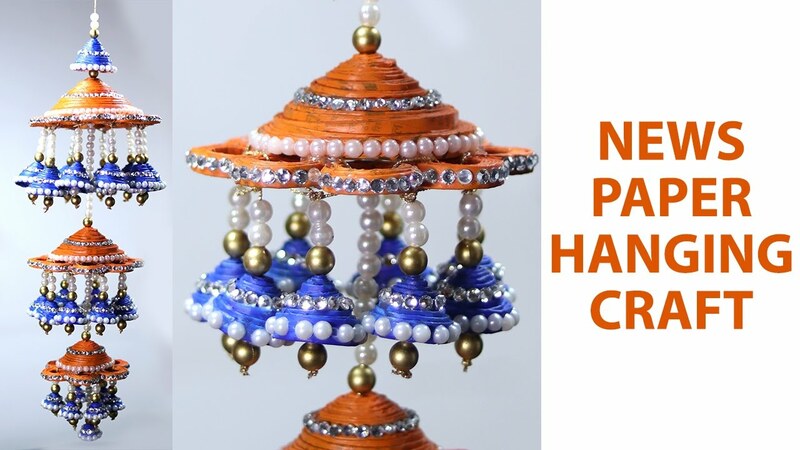 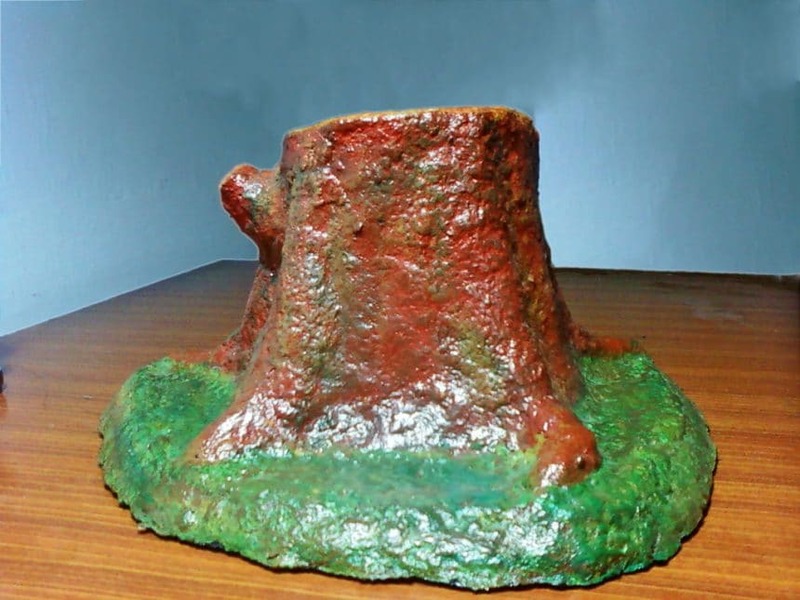 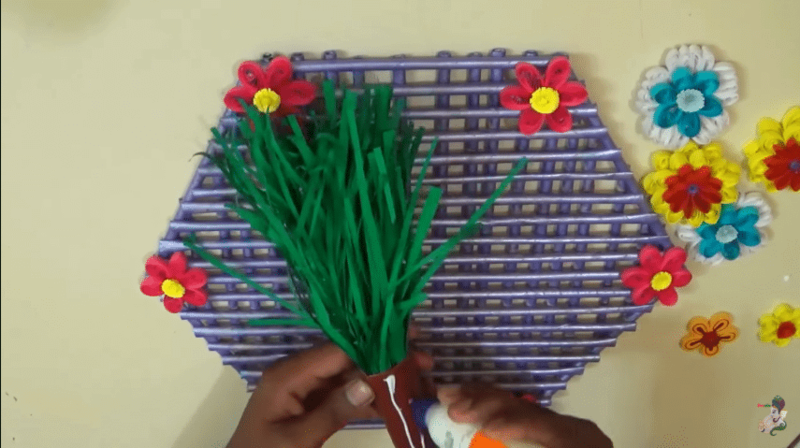 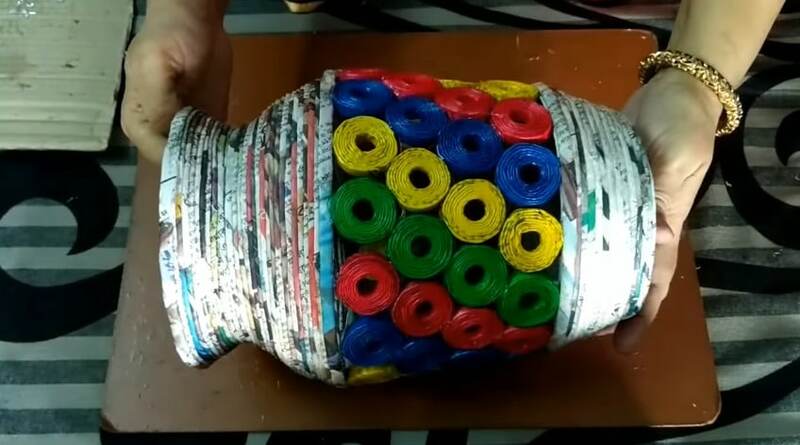 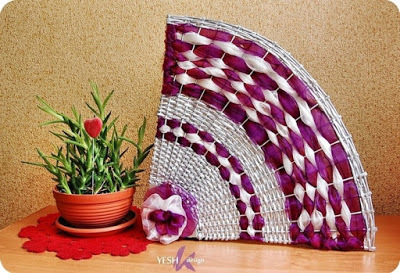 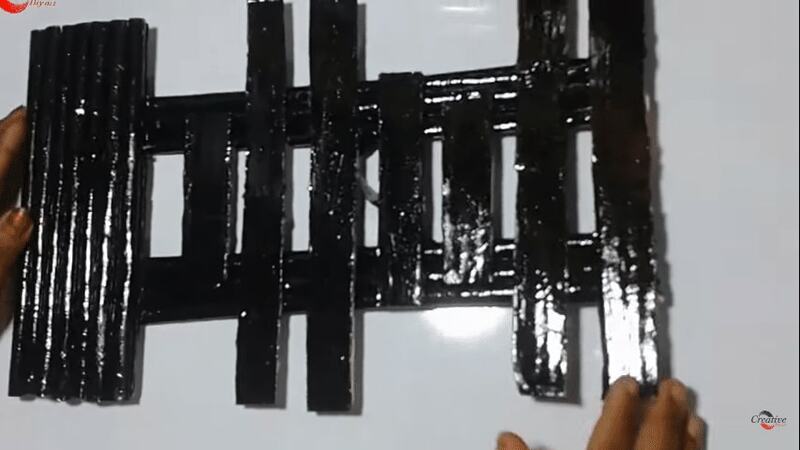 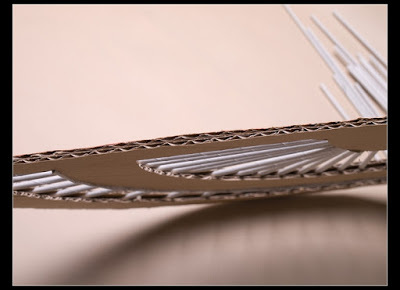 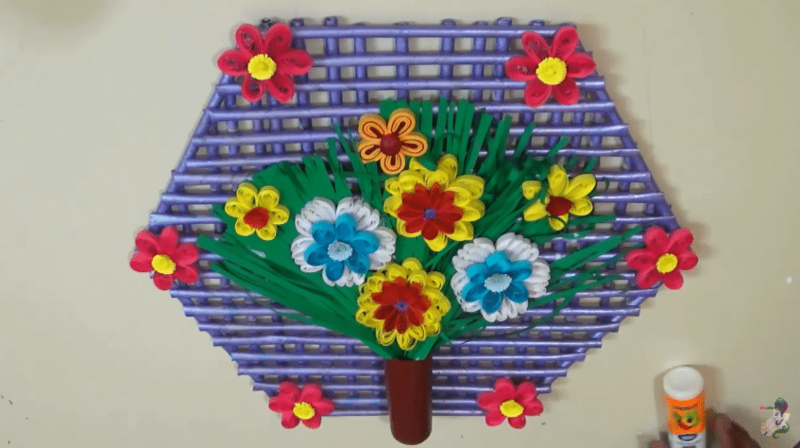 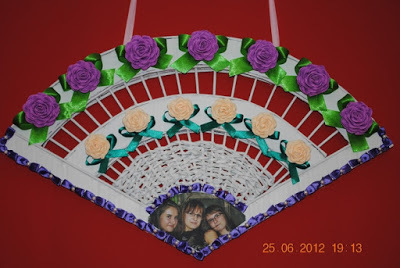 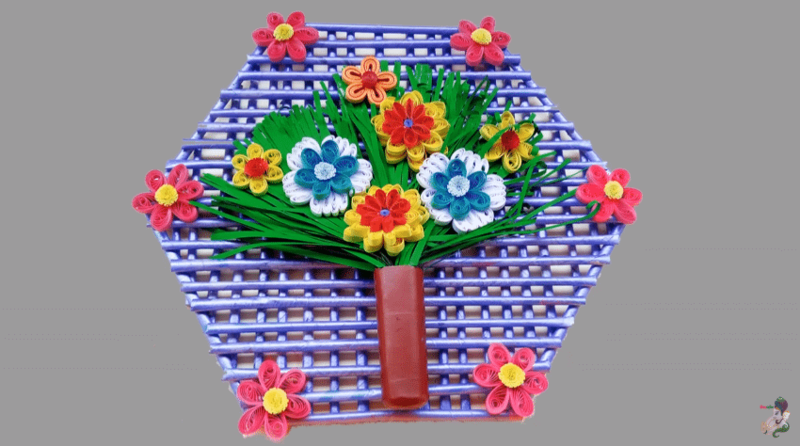 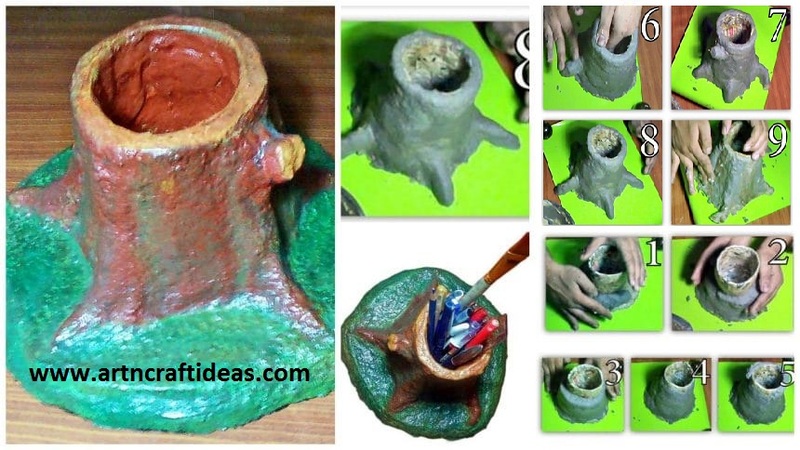 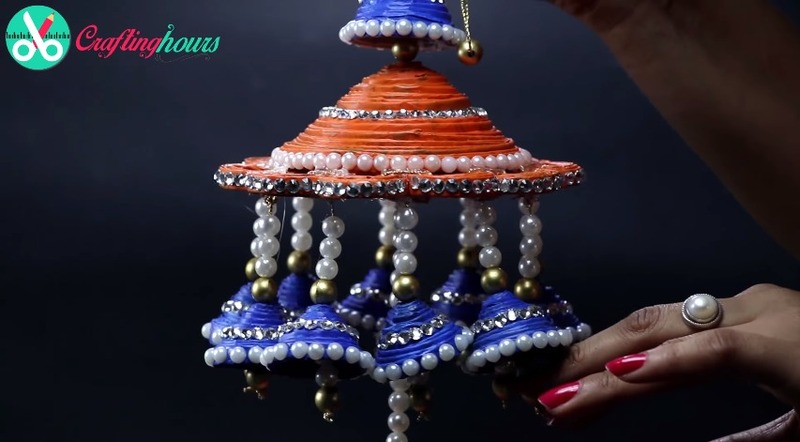 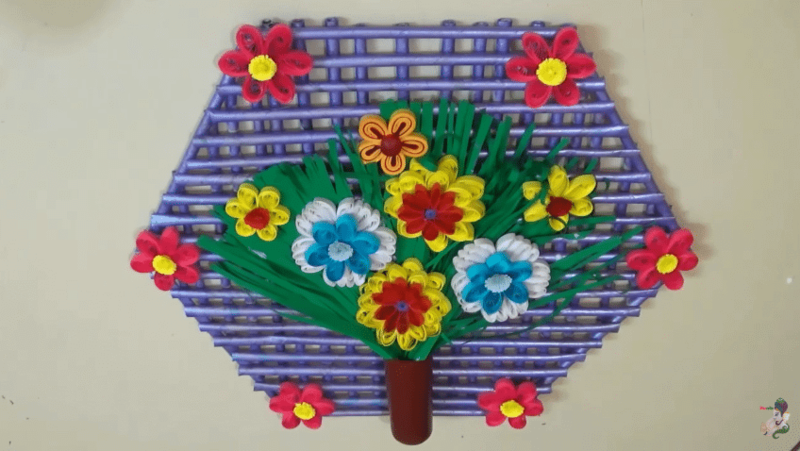 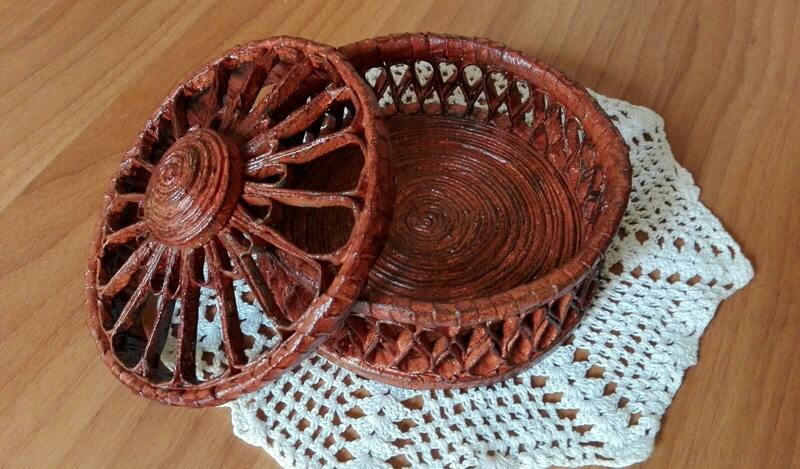 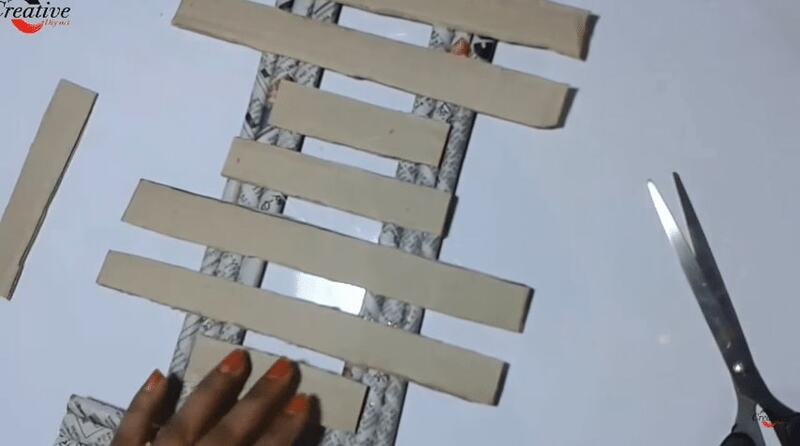 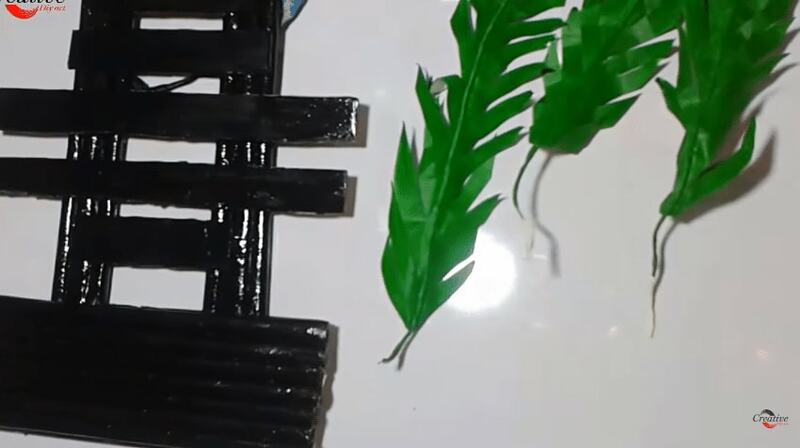 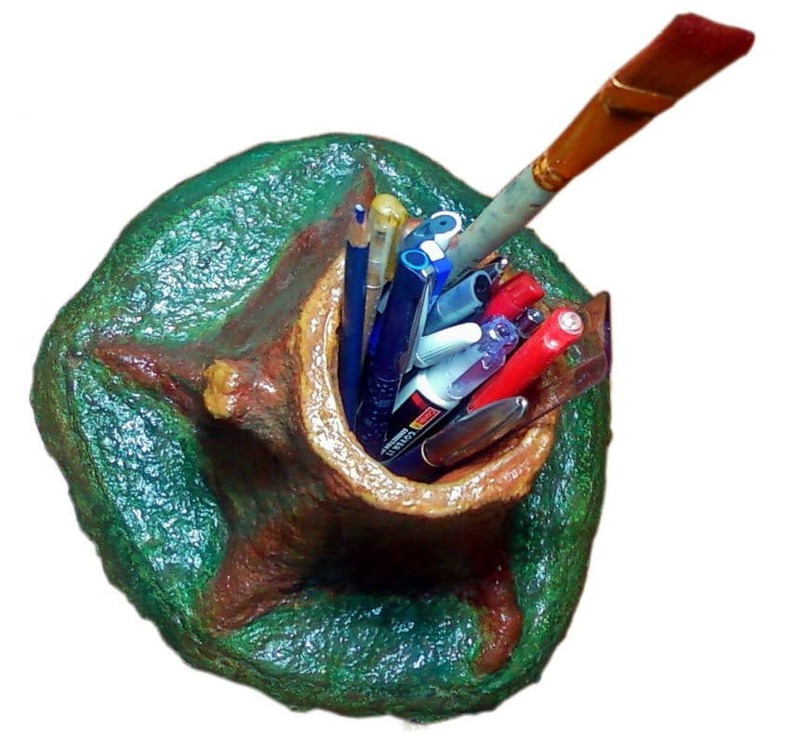 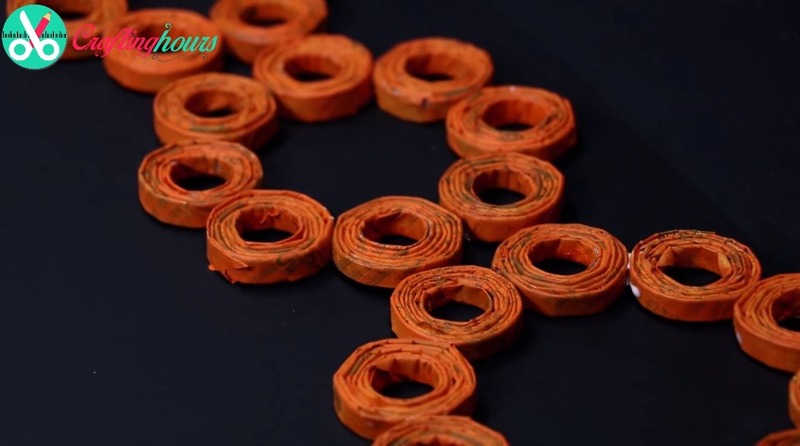 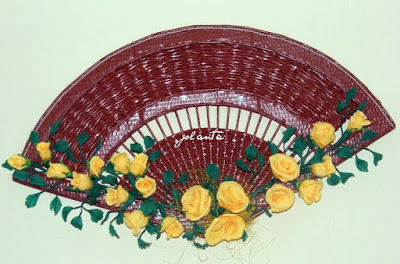 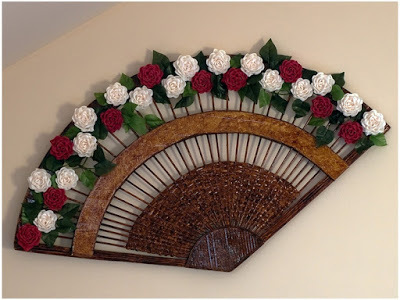 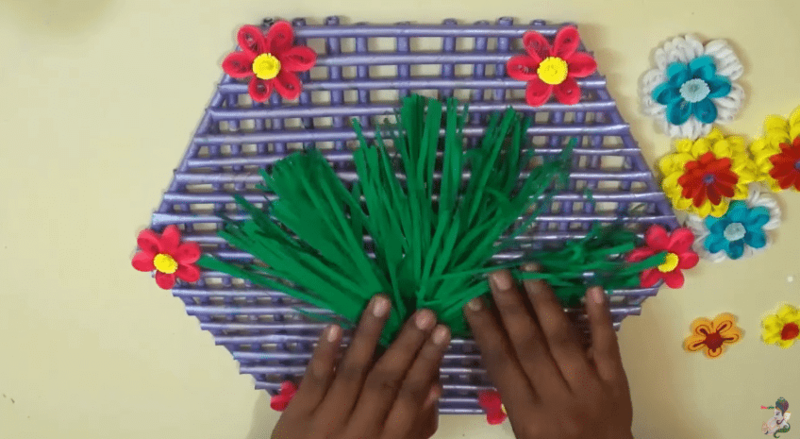 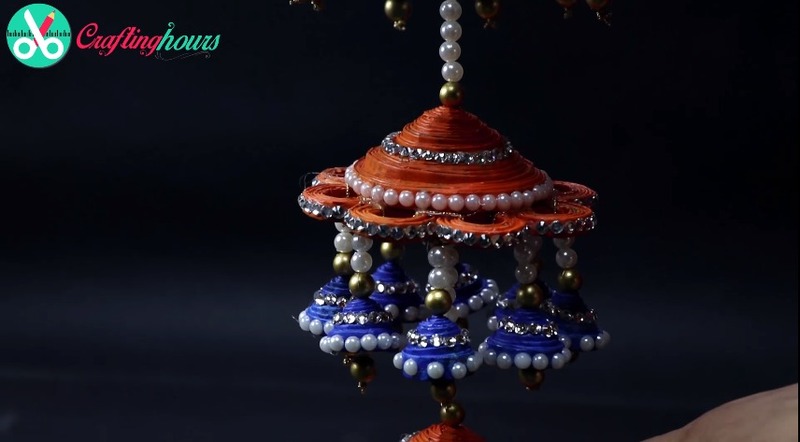 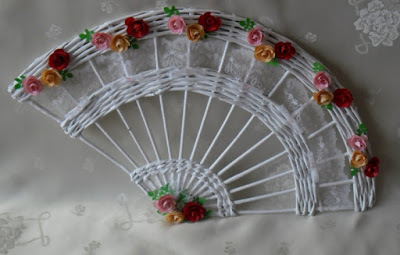 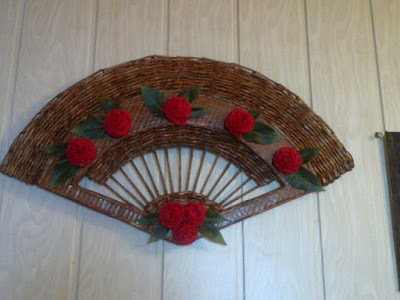 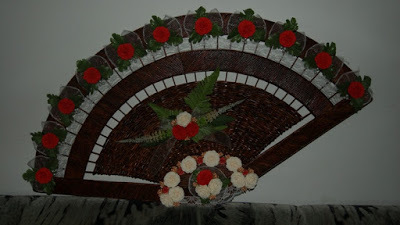 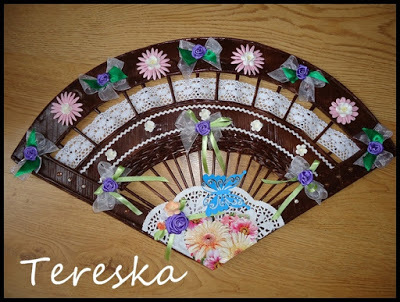 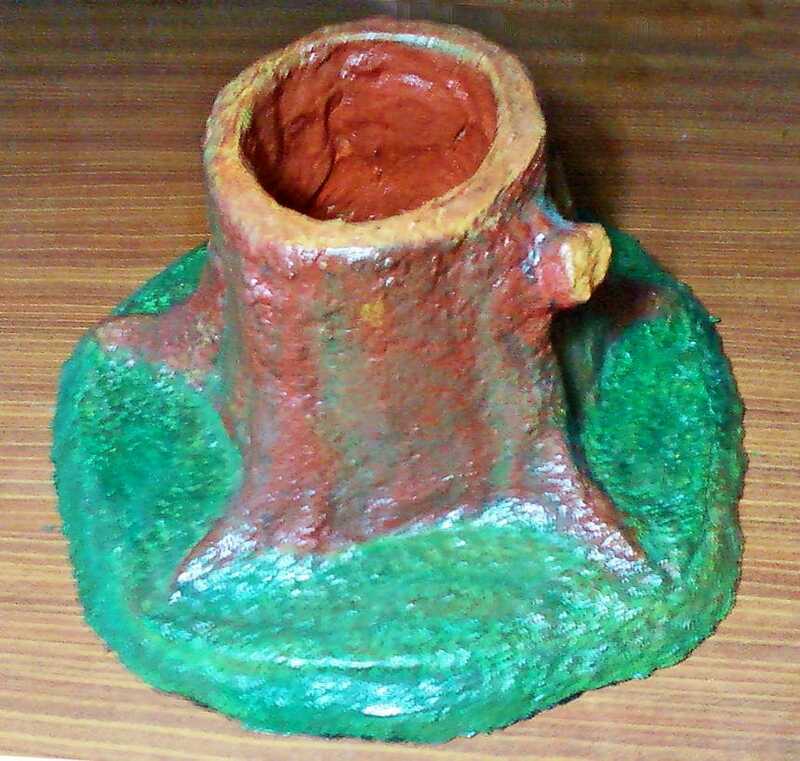 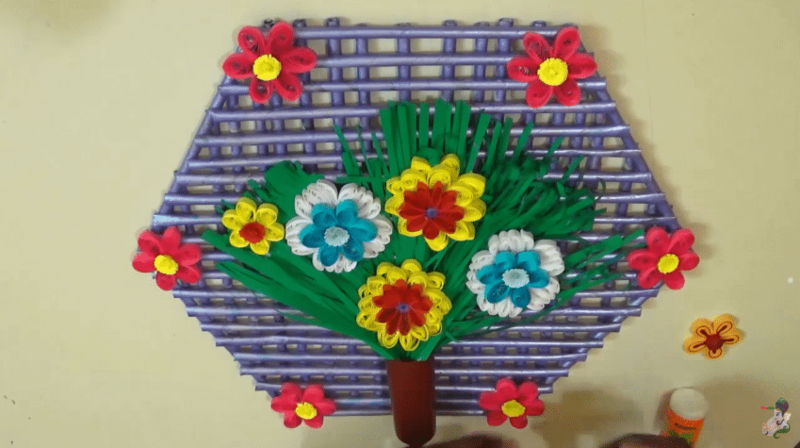 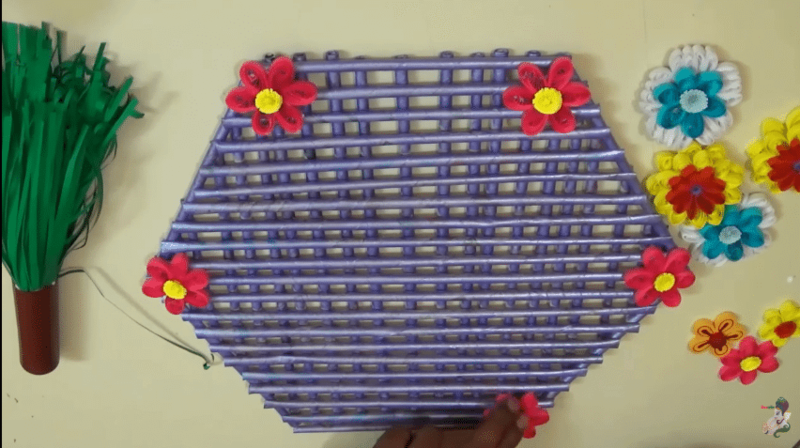 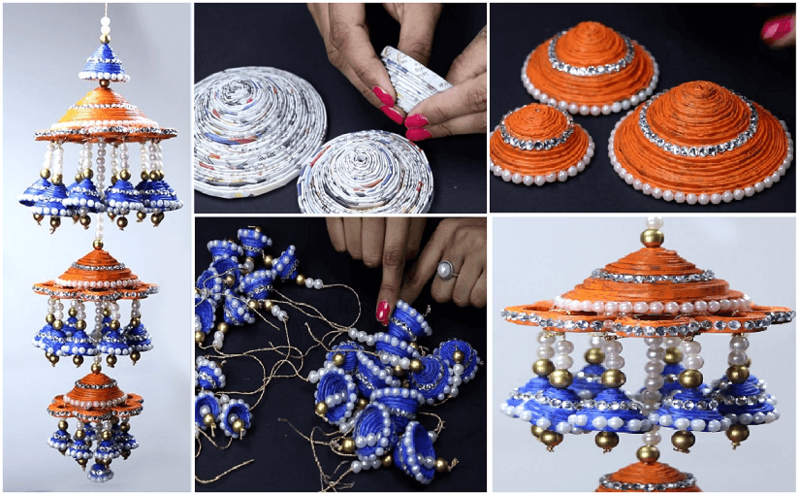 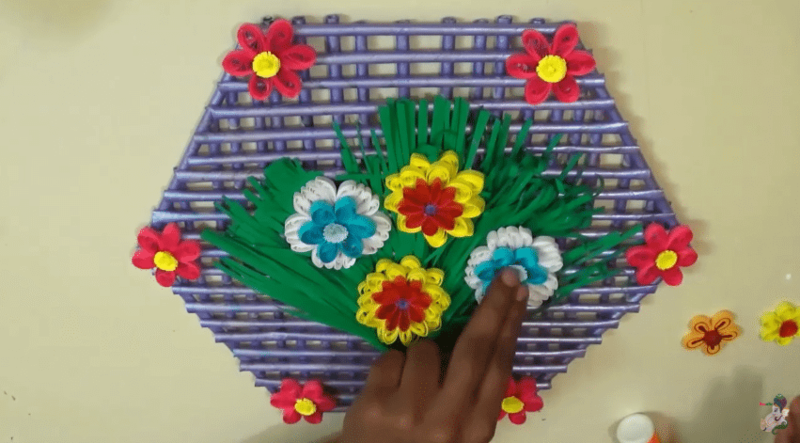 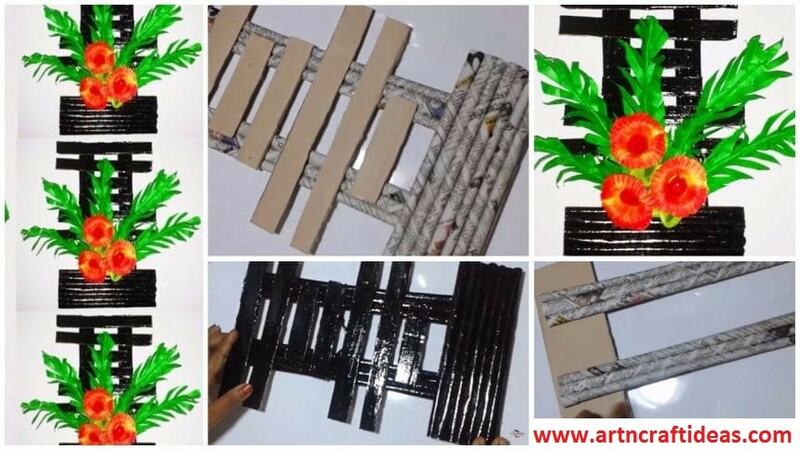 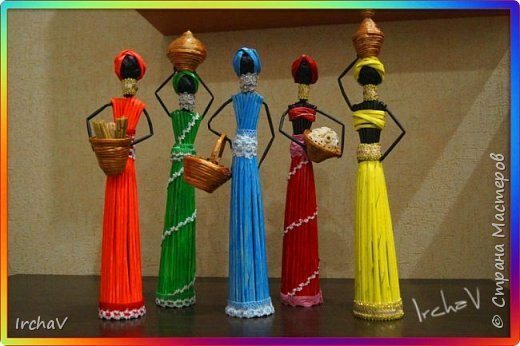 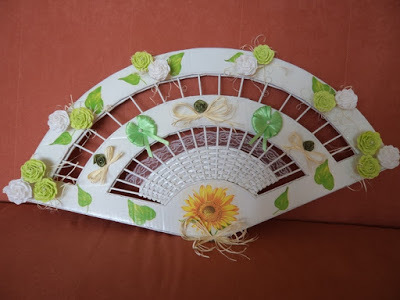 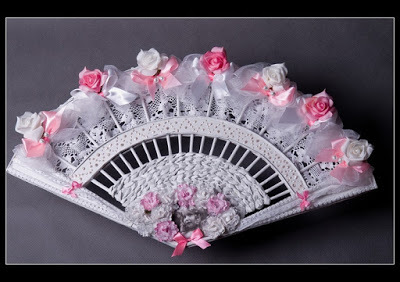 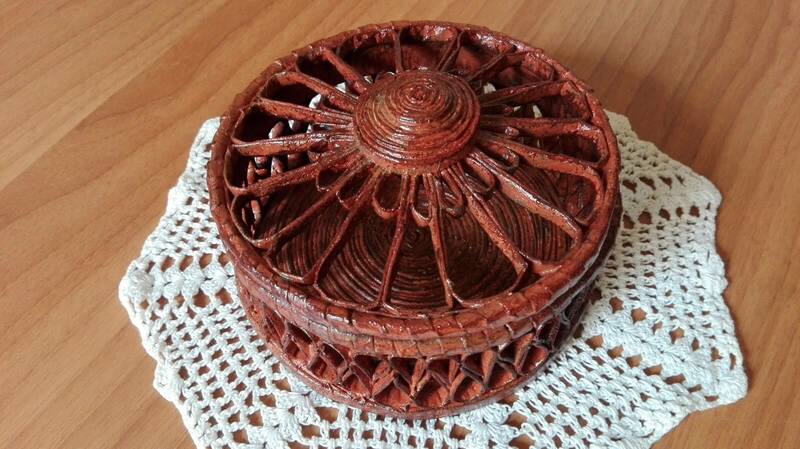 This is one of the most beautiful things made by waste material and among best hanging decor ideas. 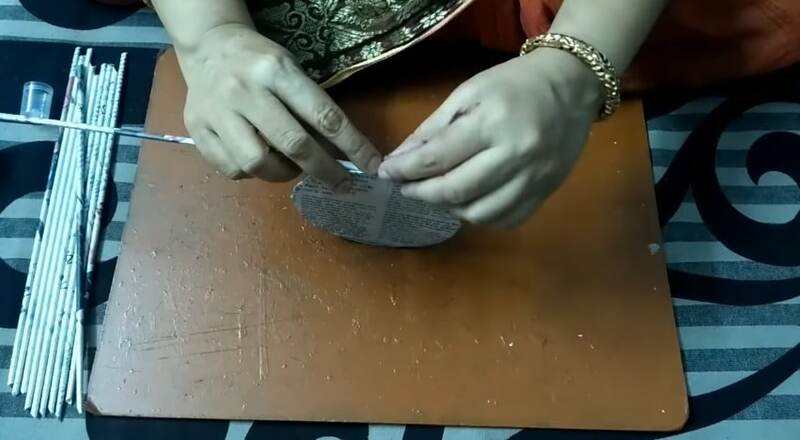 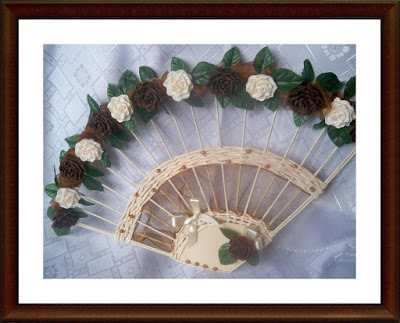 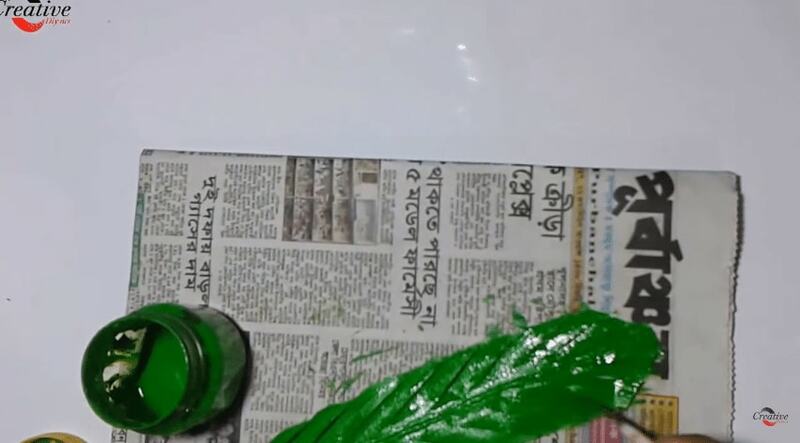 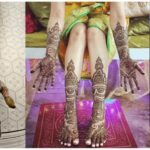 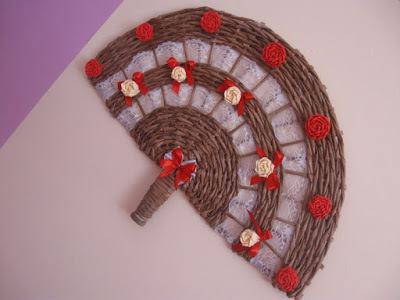 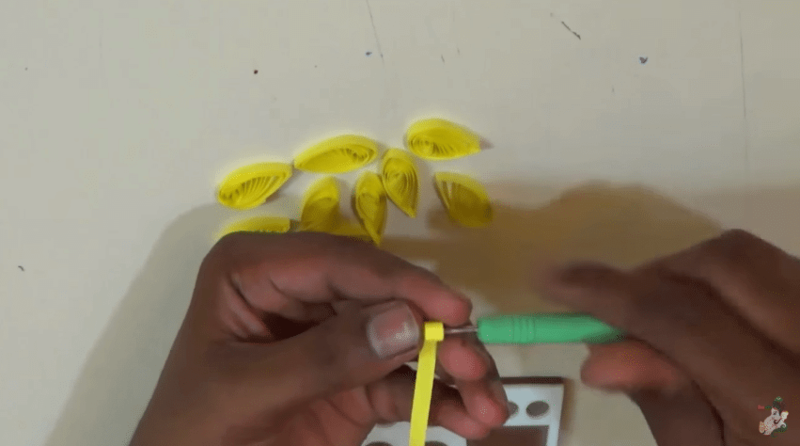 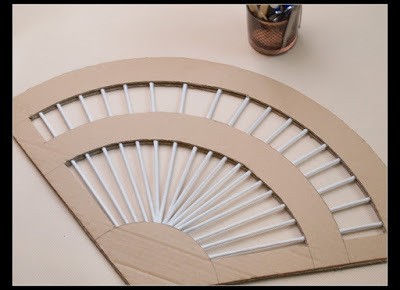 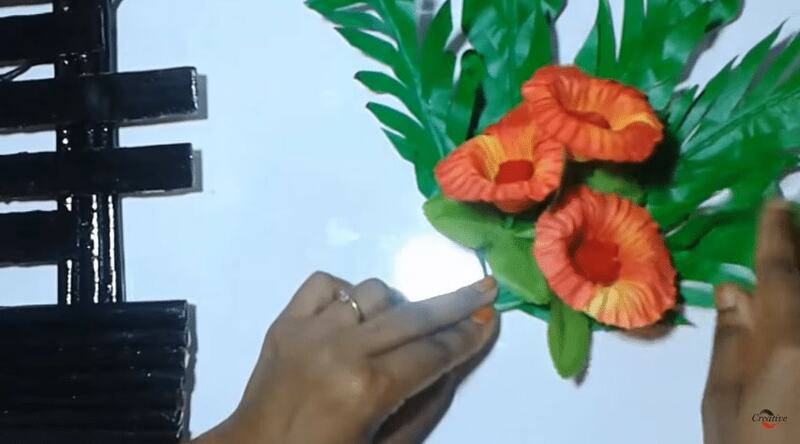 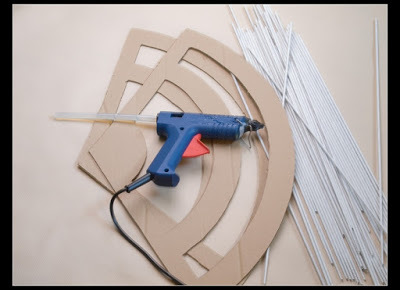 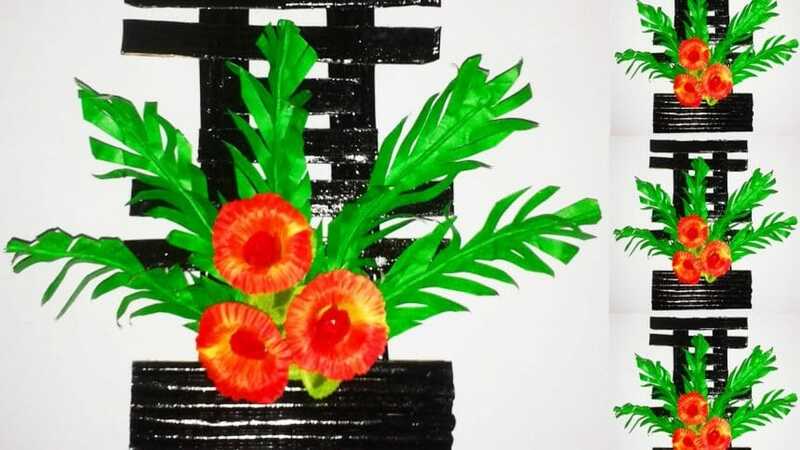 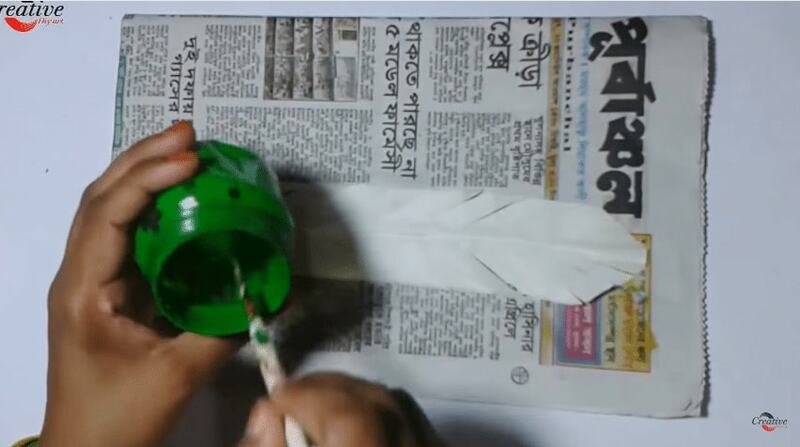 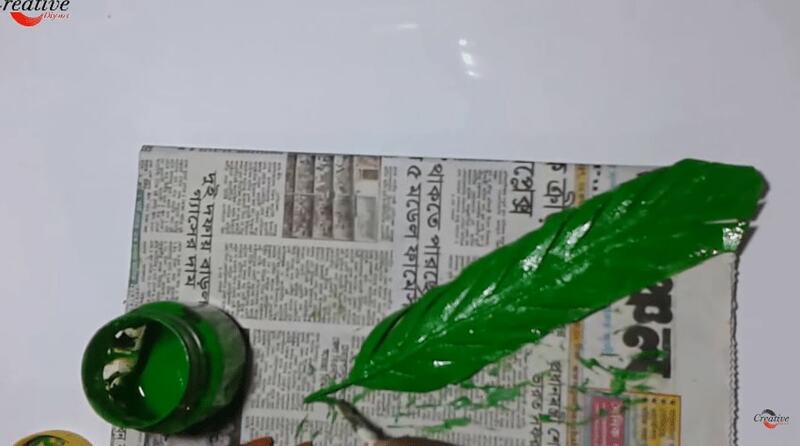 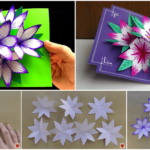 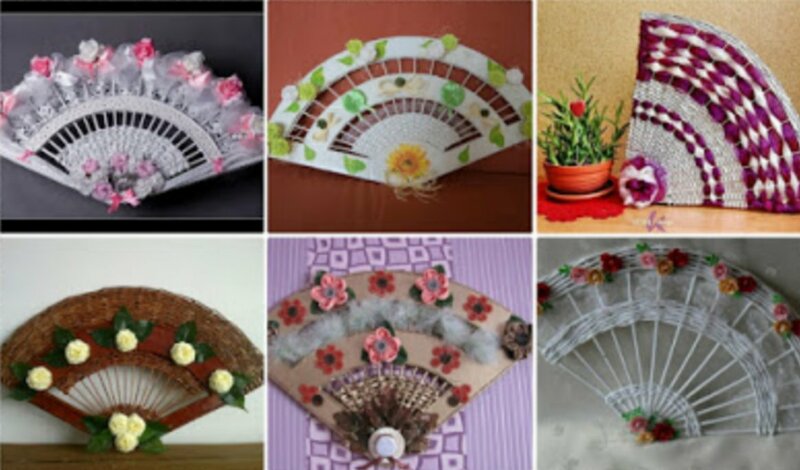 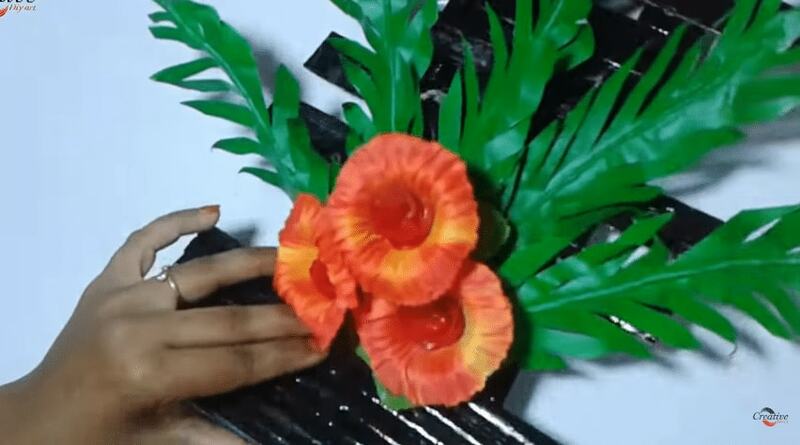 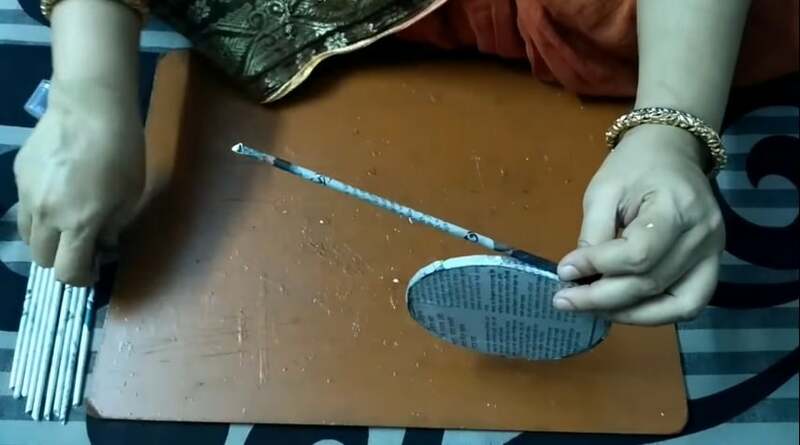 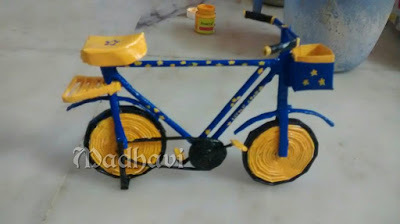 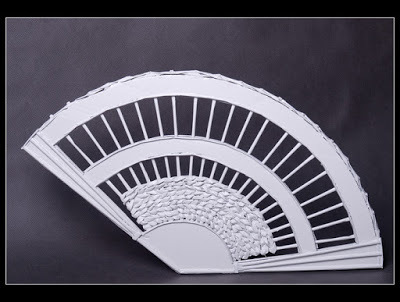 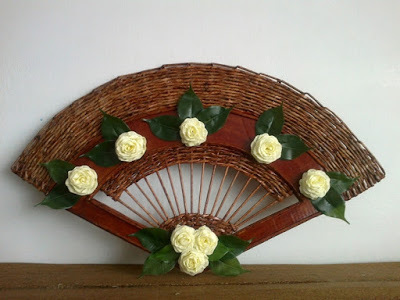 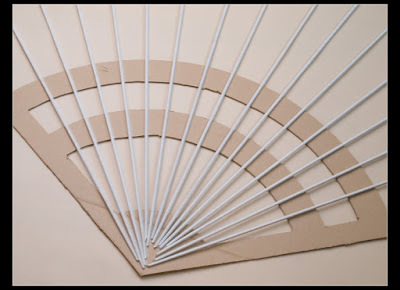 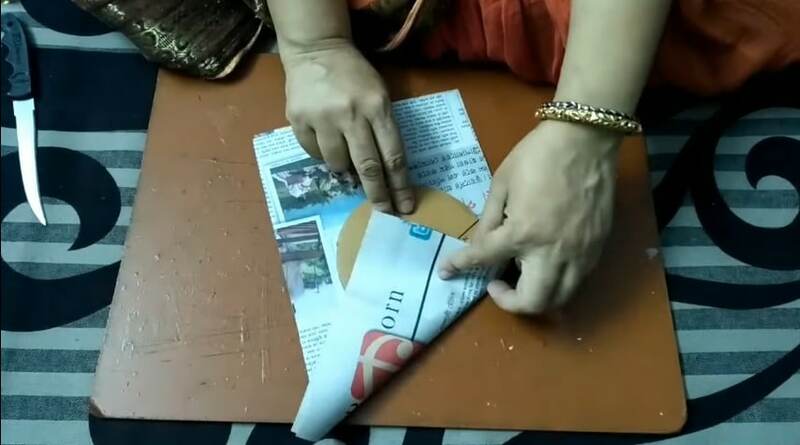 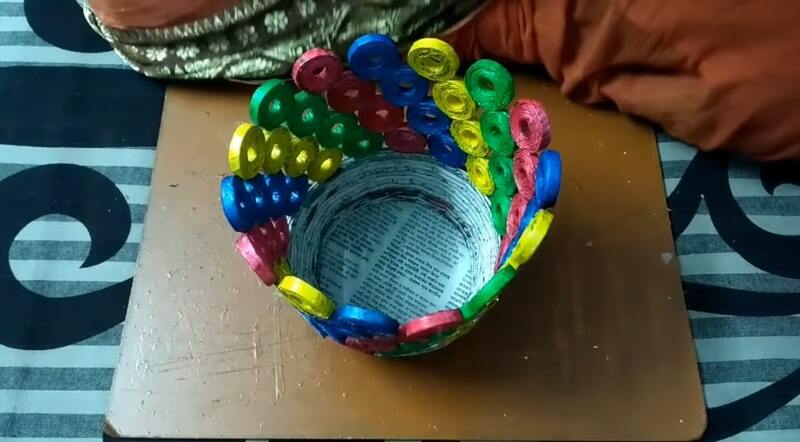 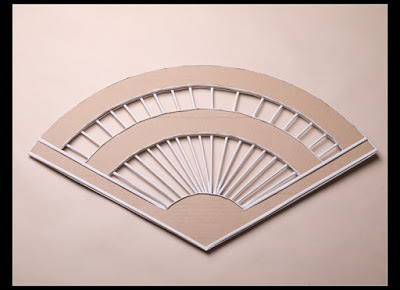 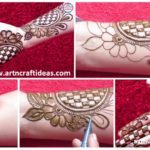 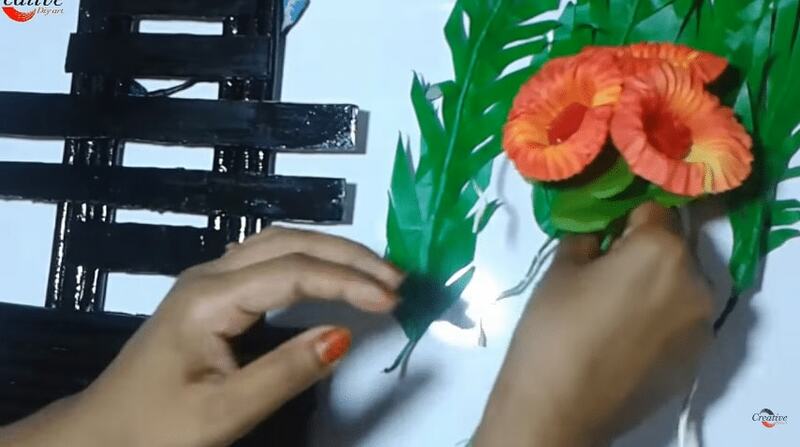 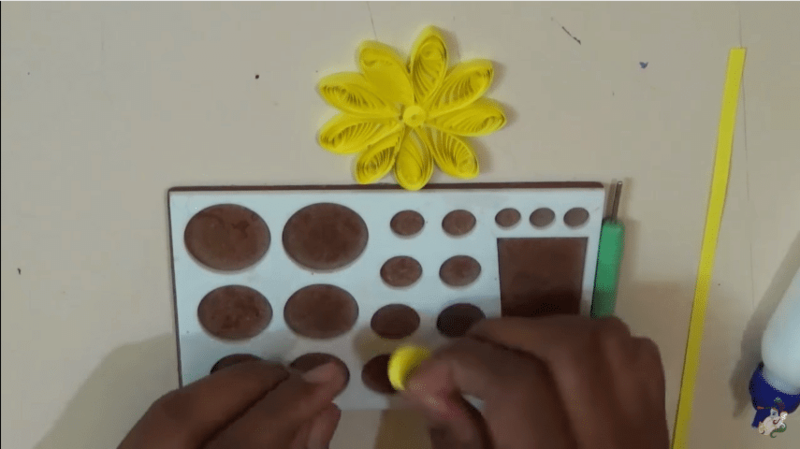 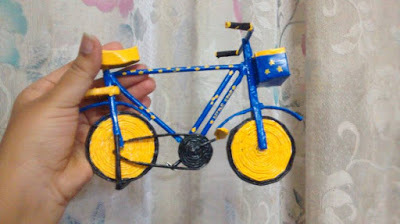 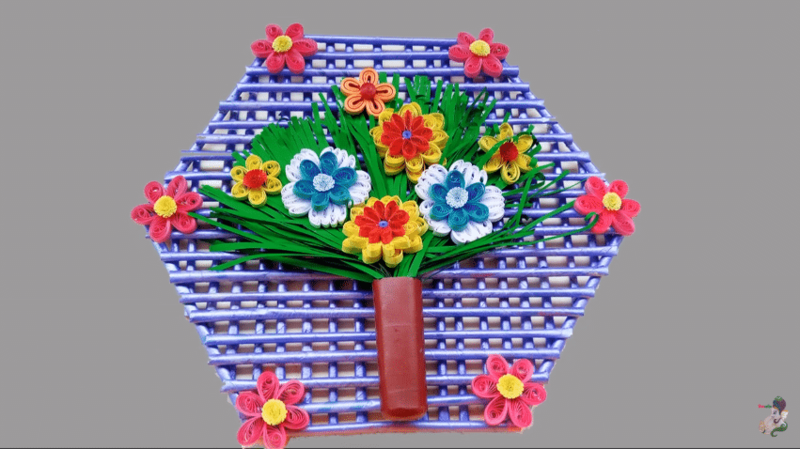 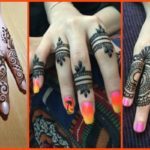 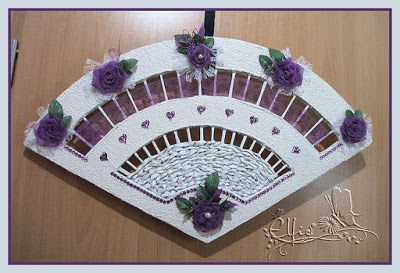 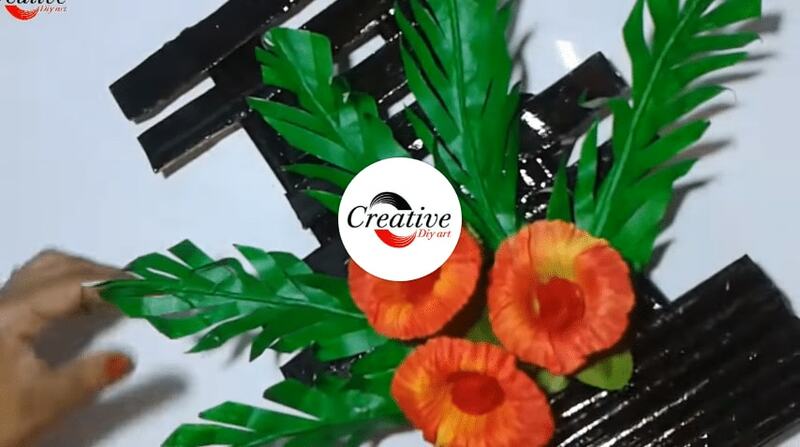 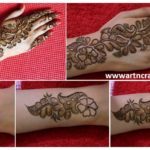 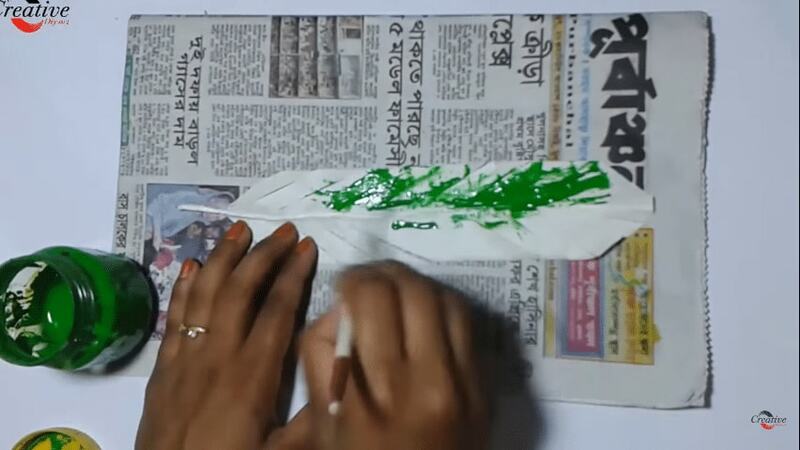 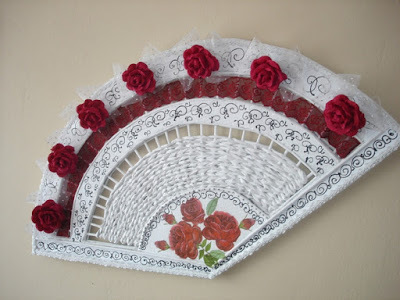 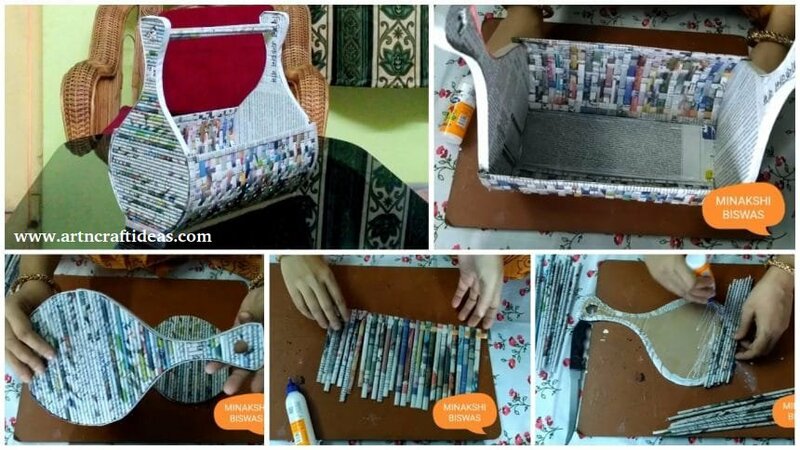 You can make your own party decorations in this manner with newspaper crafts. 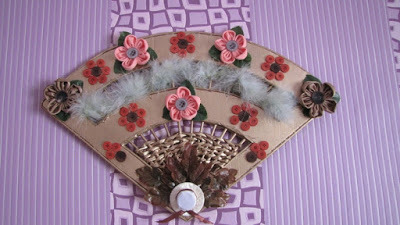 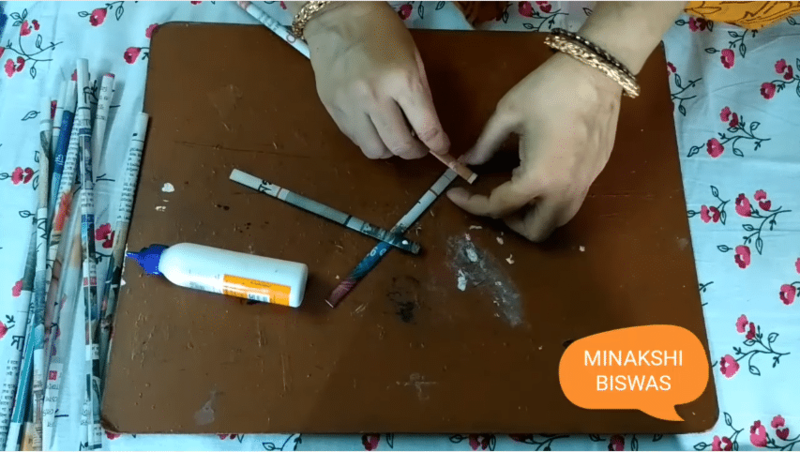 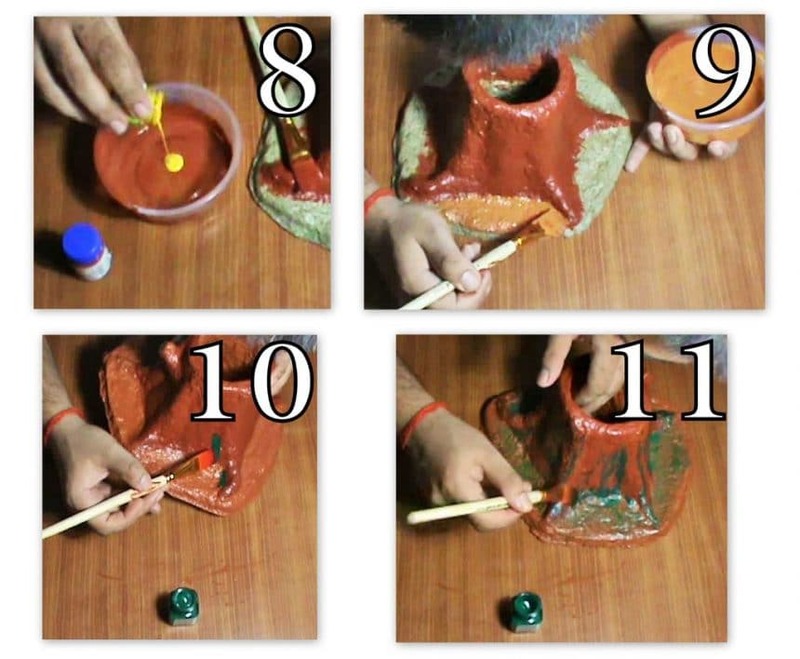 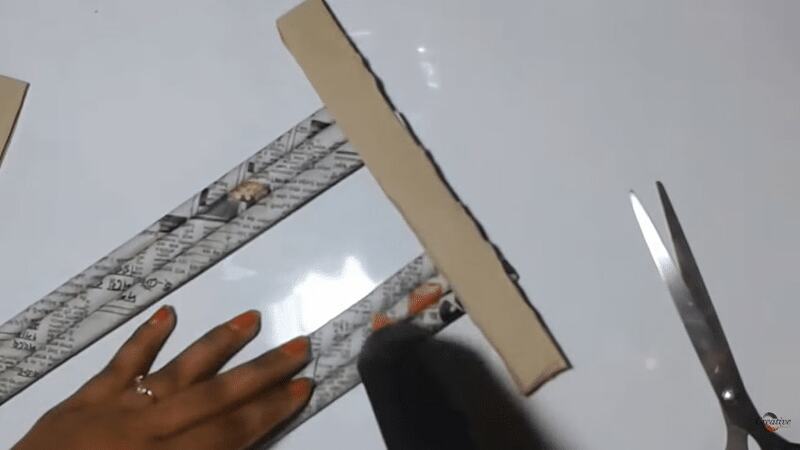 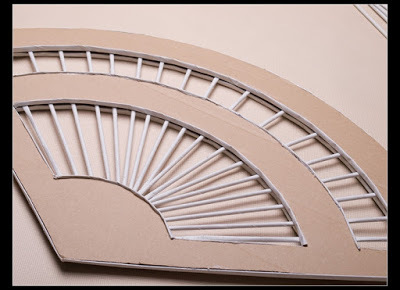 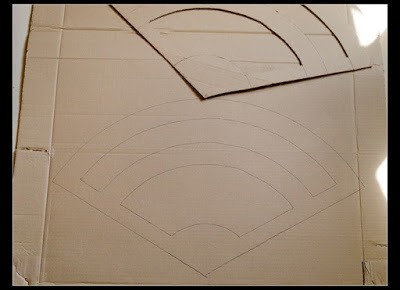 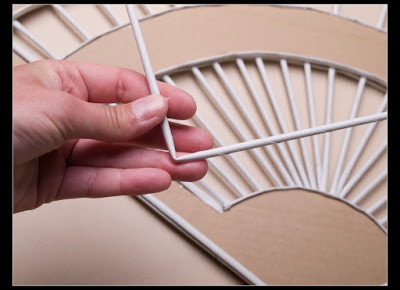 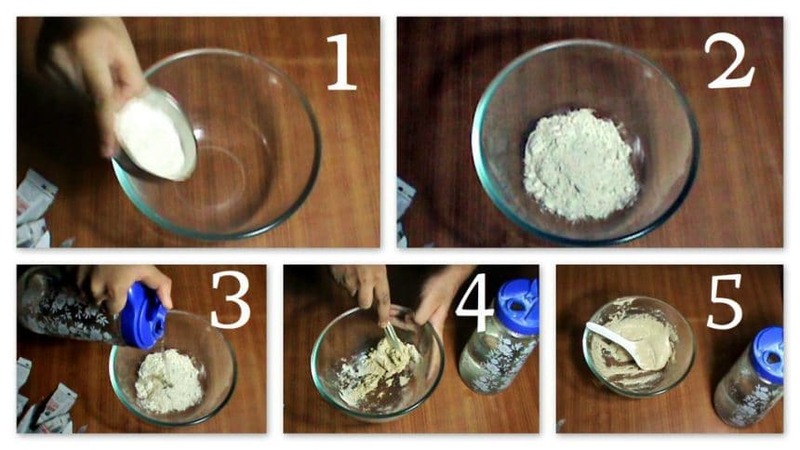 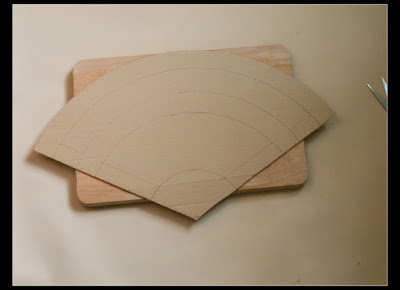 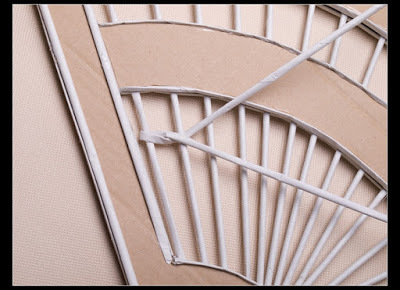 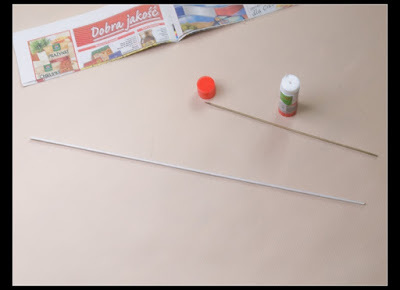 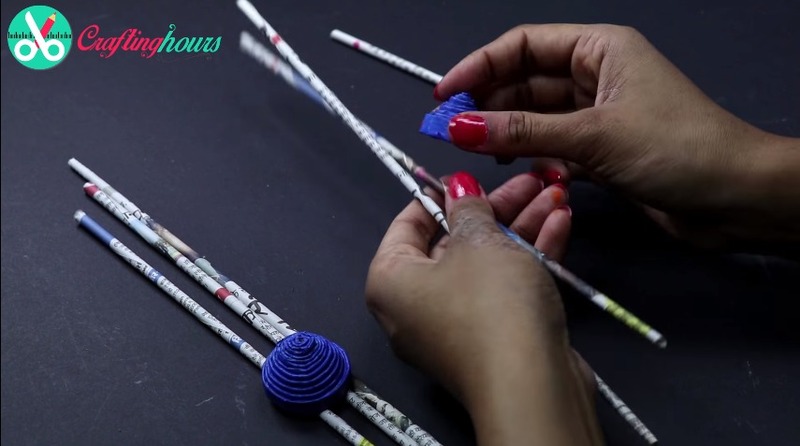 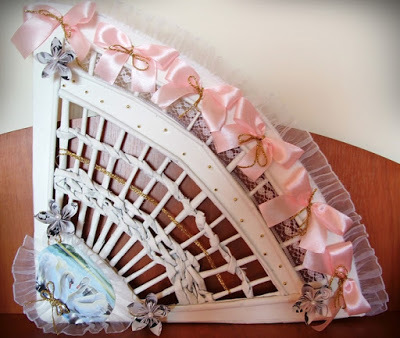 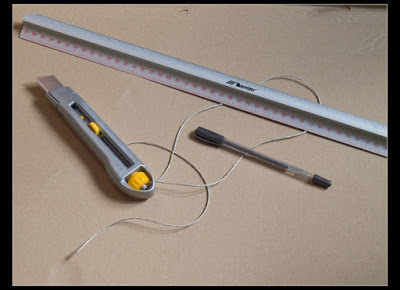 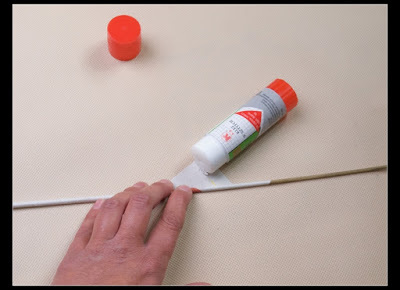 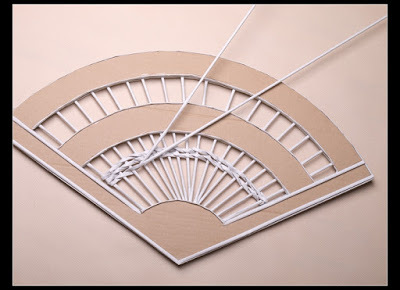 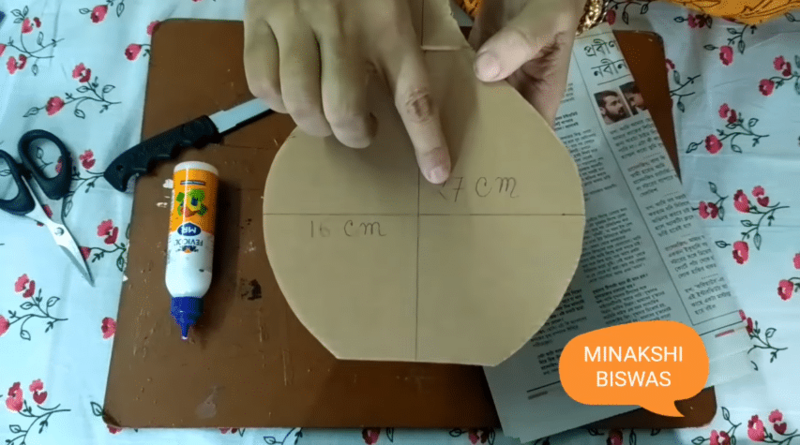 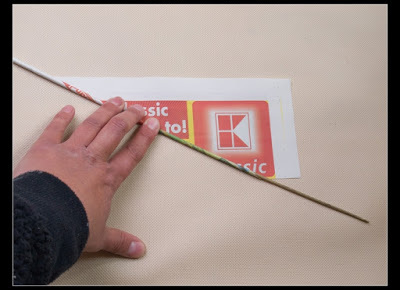 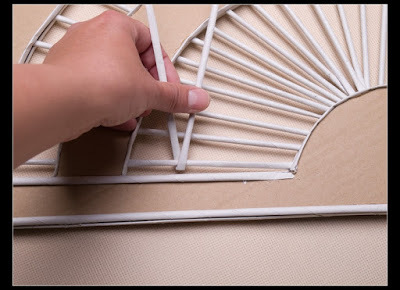 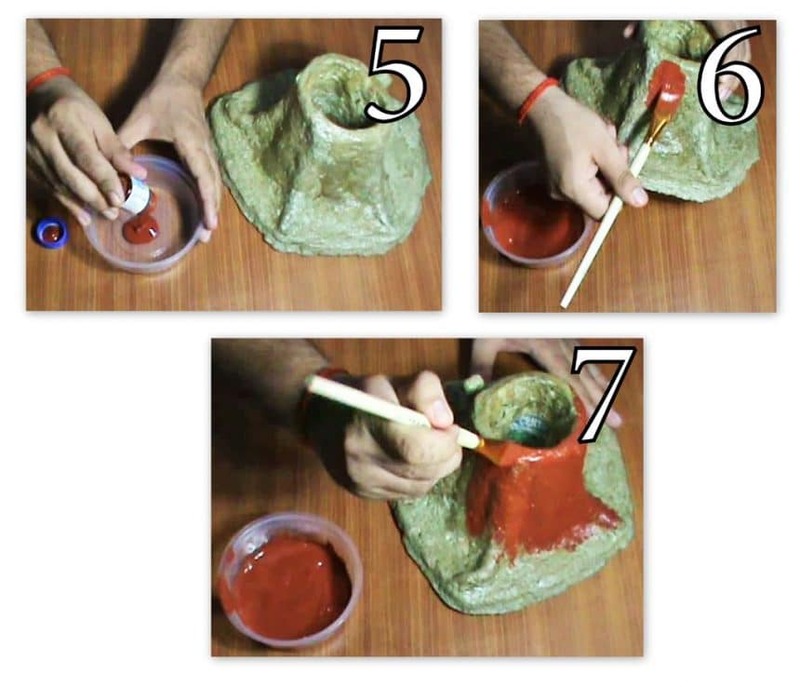 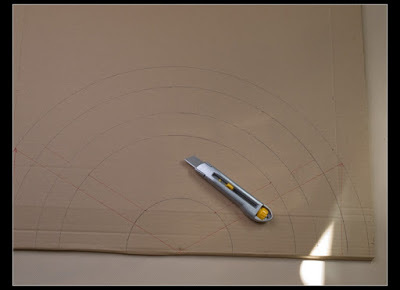 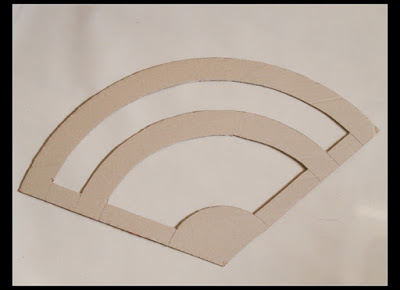 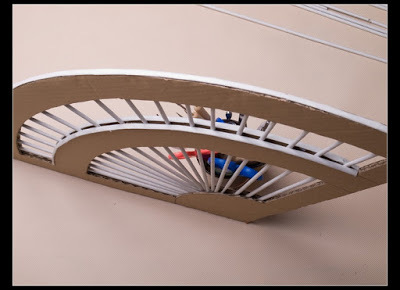 Just follow the step by step directions shown in this craft tutorial. 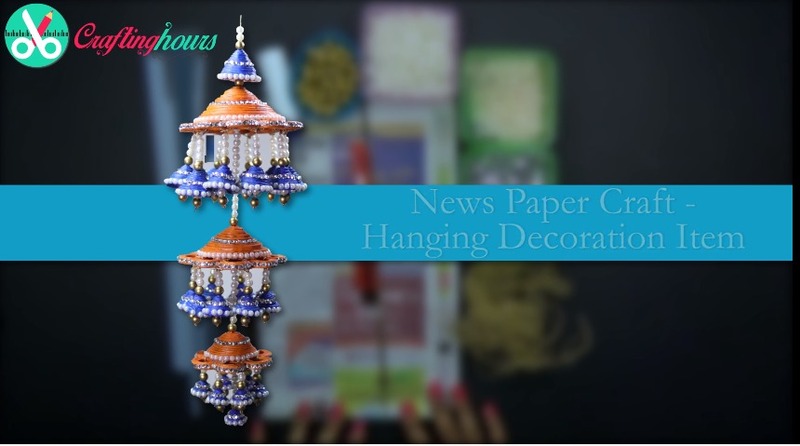 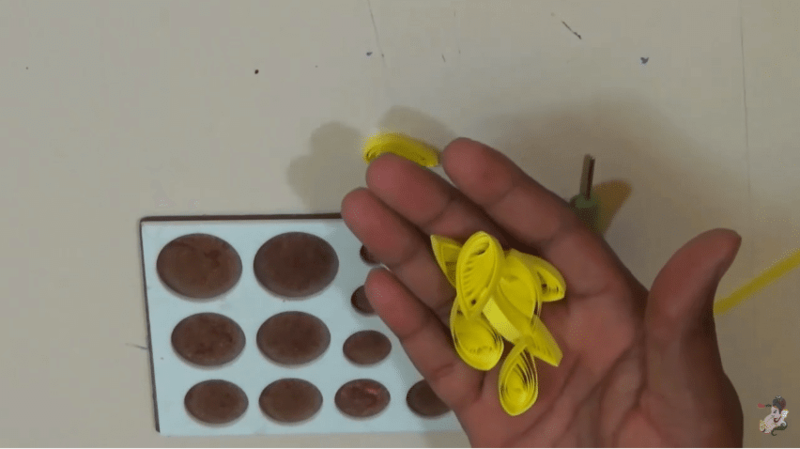 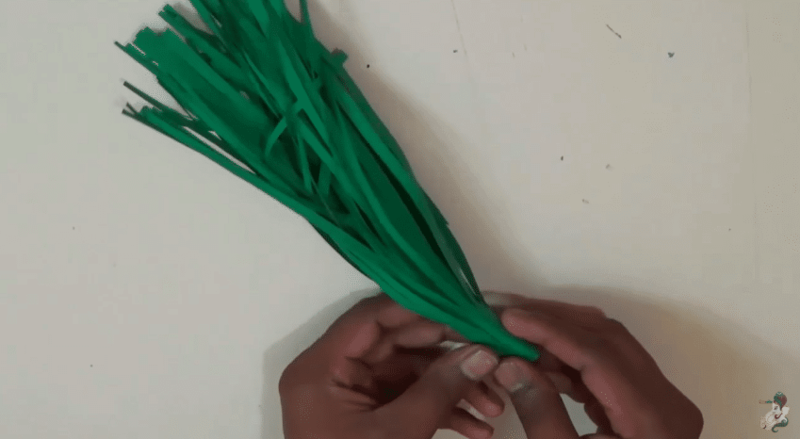 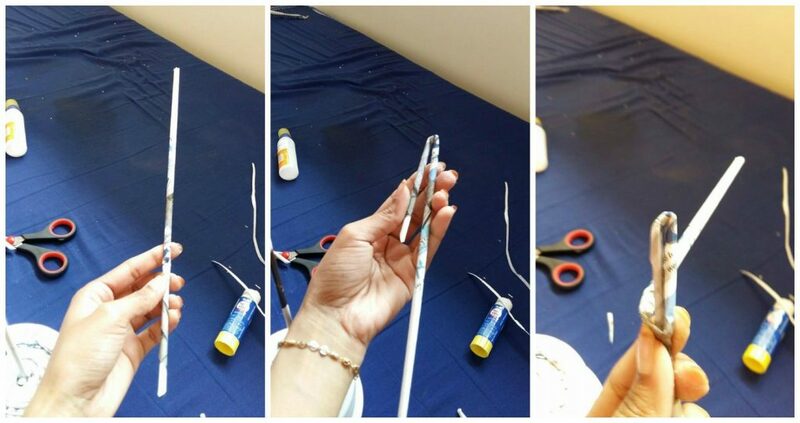 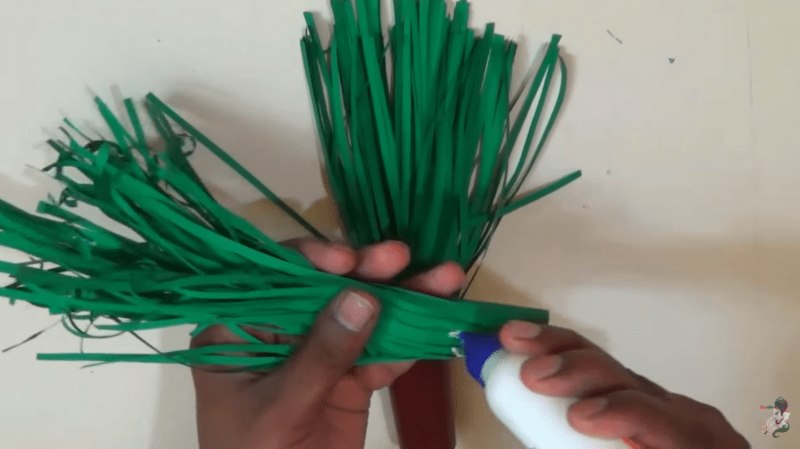 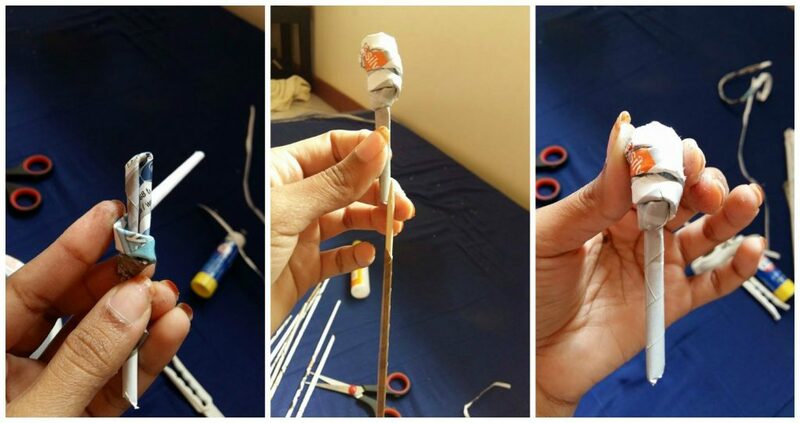 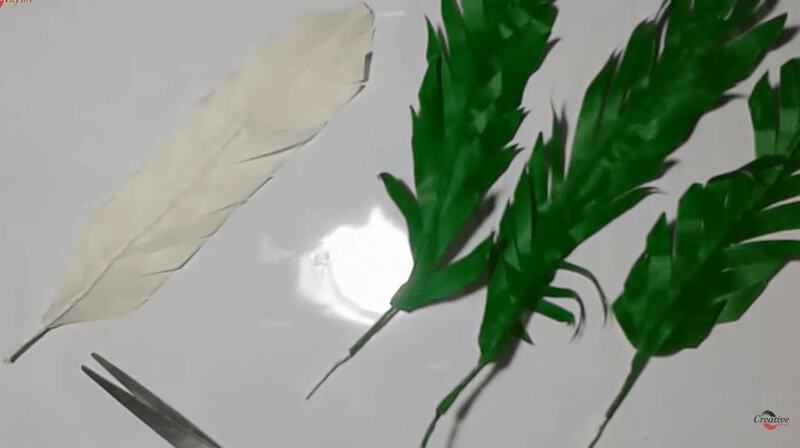 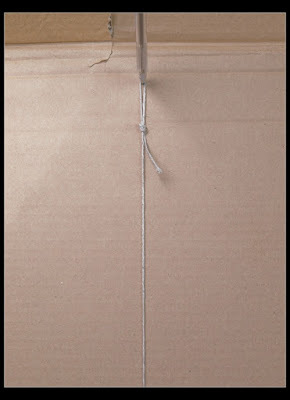 Soon you’ll be able to make these hanging decorations from the ceiling and receiving compliments for your creativity in homemade party decorations. 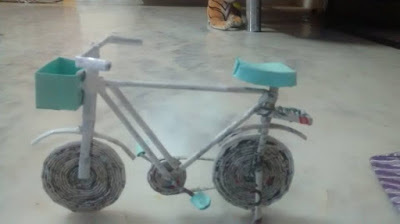 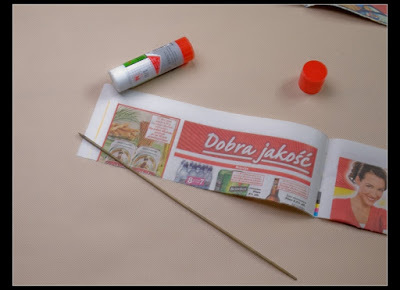 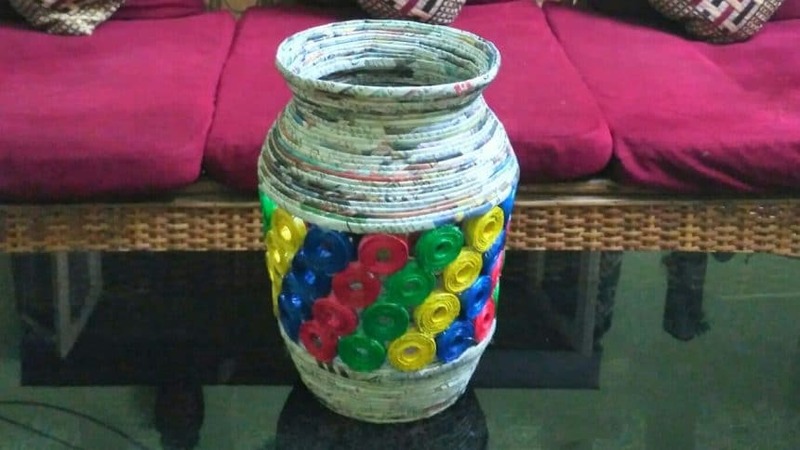 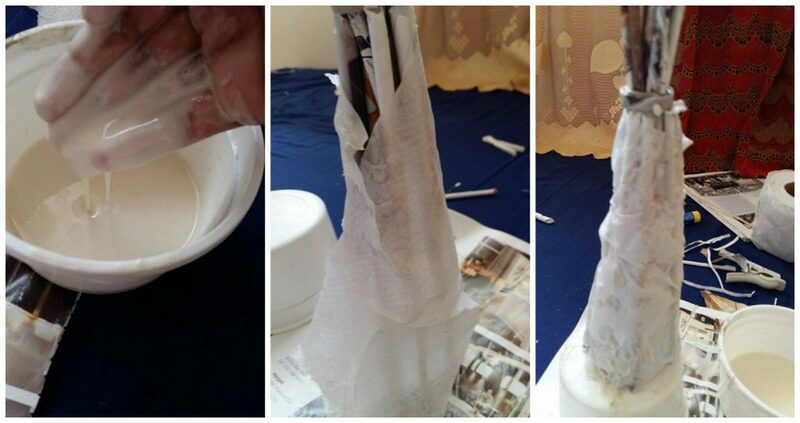 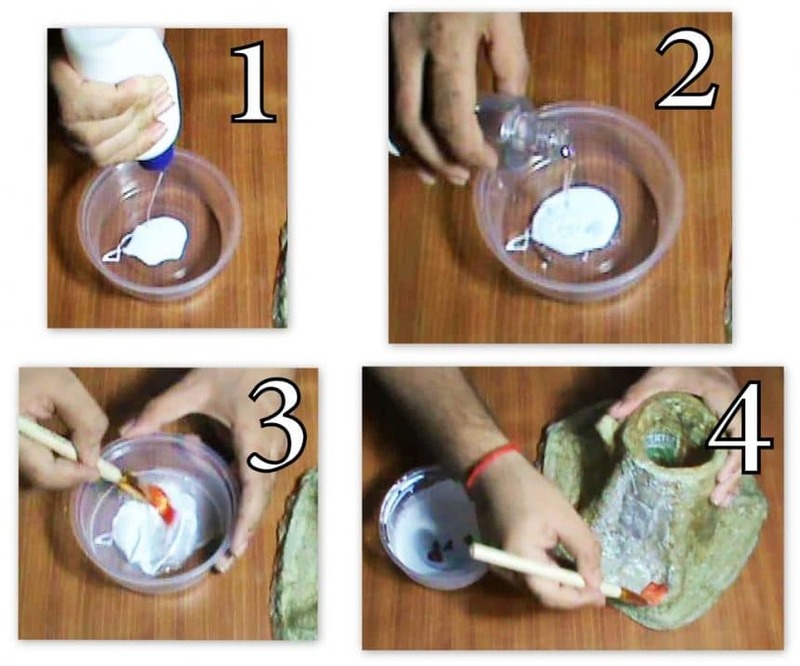 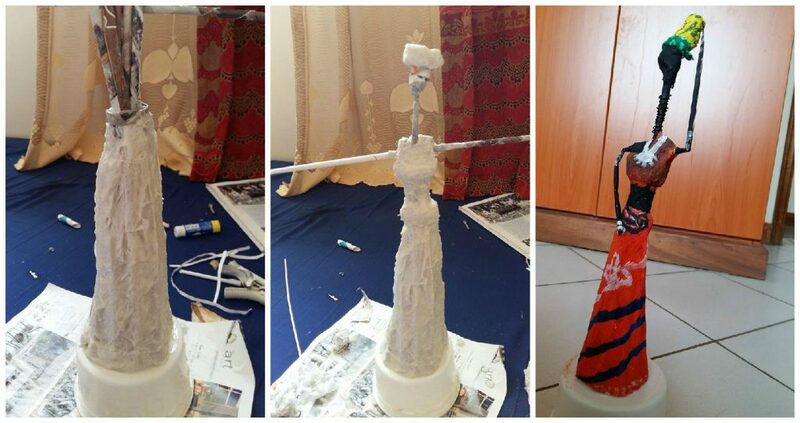 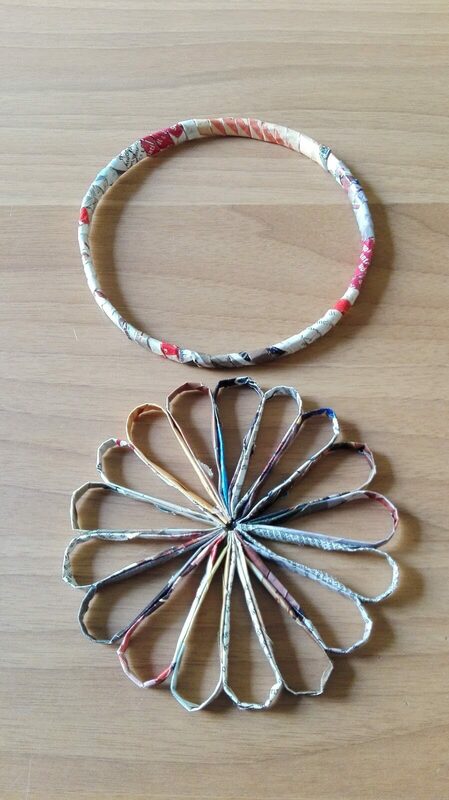 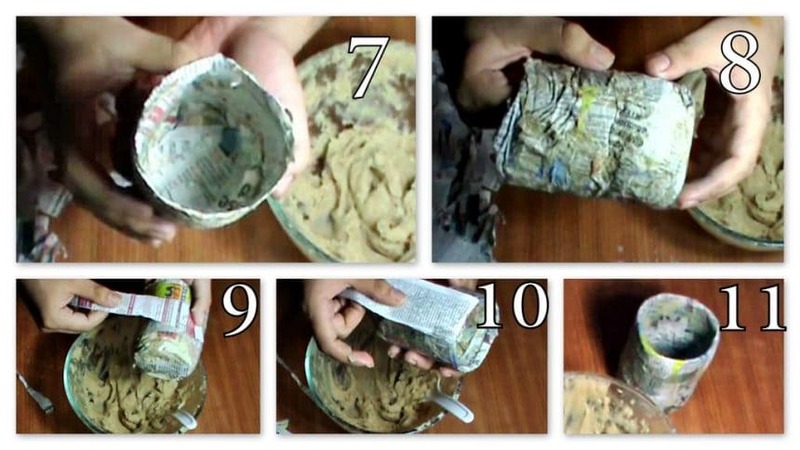 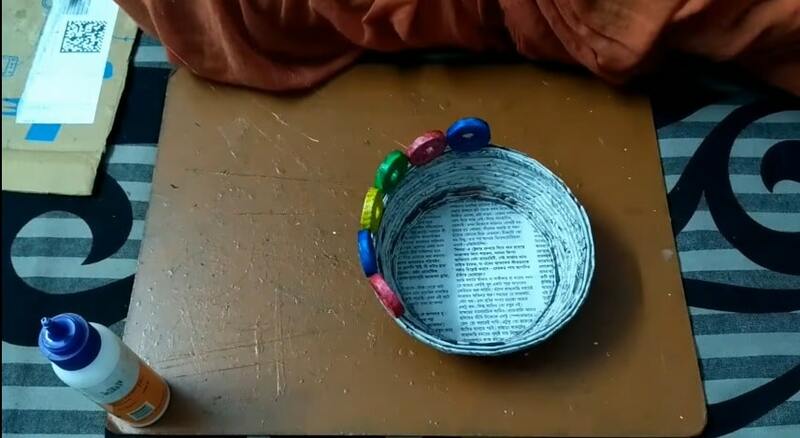 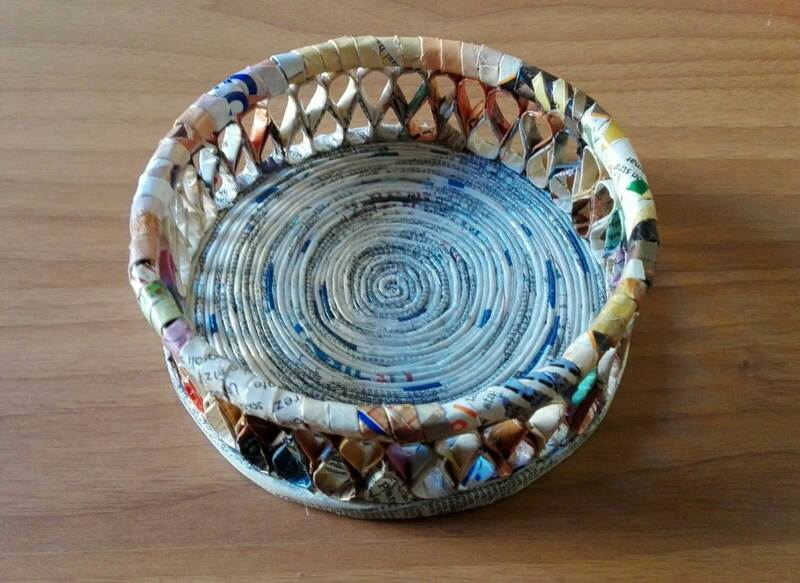 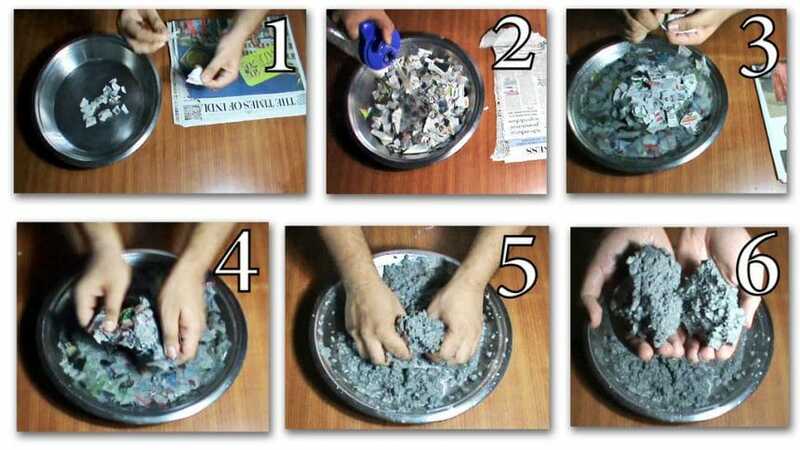 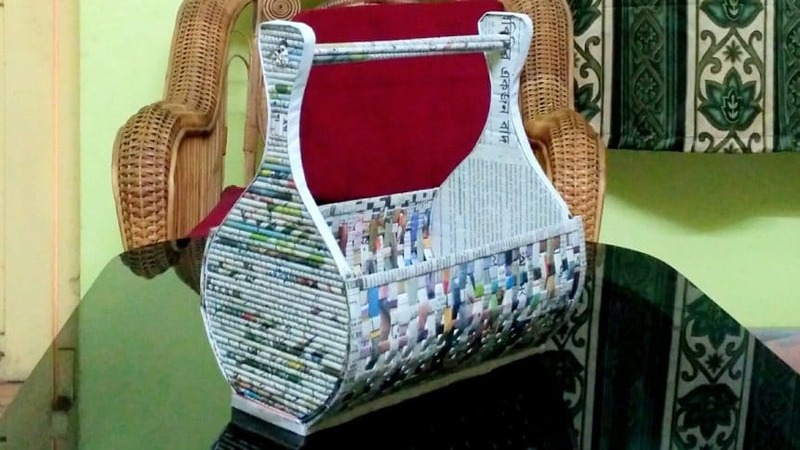 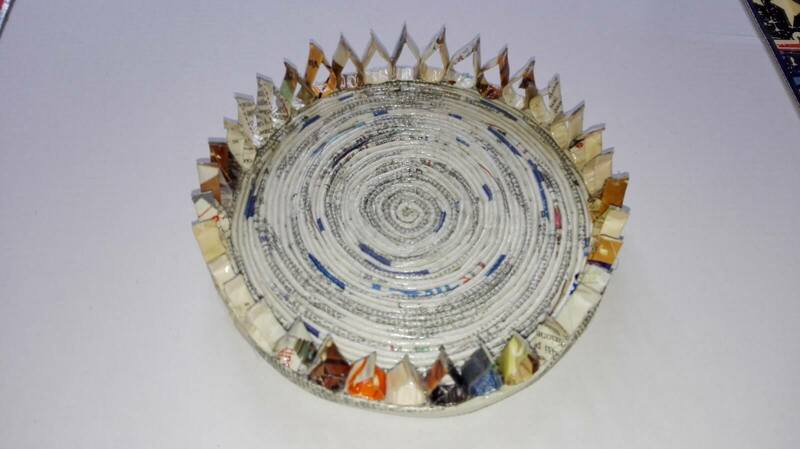 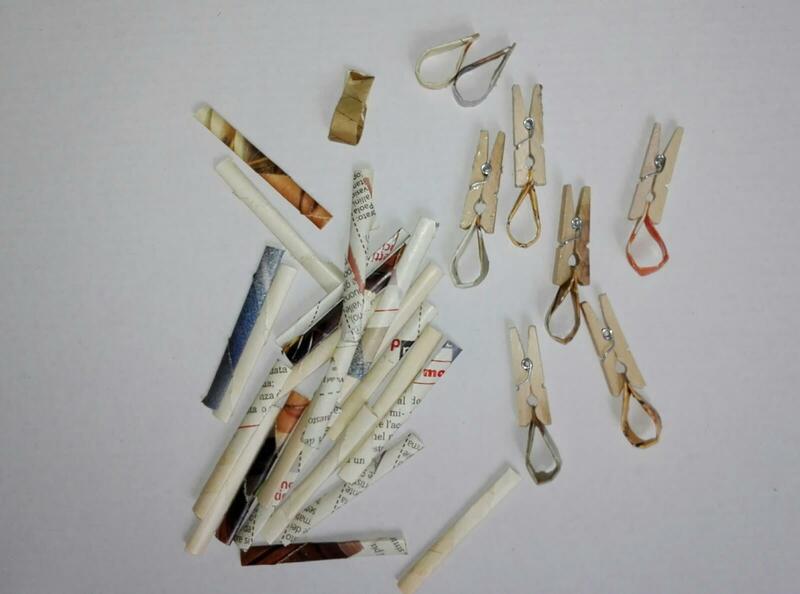 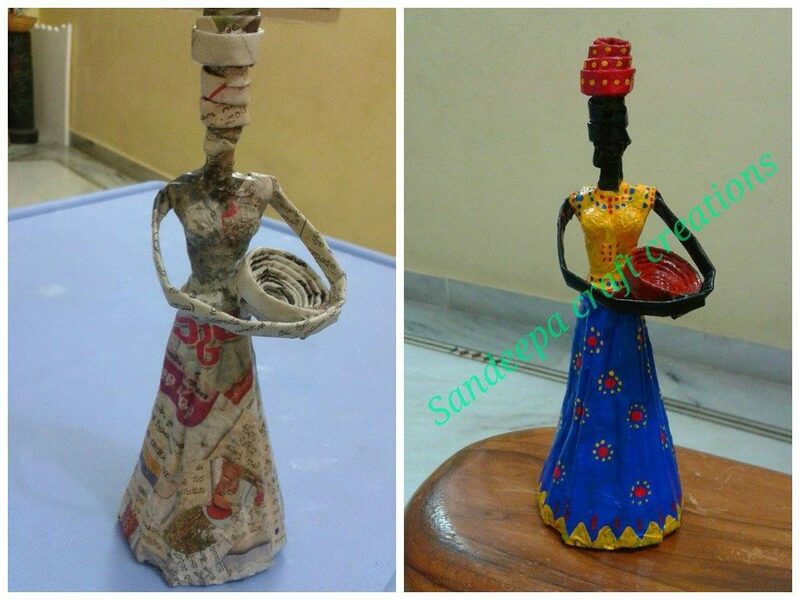 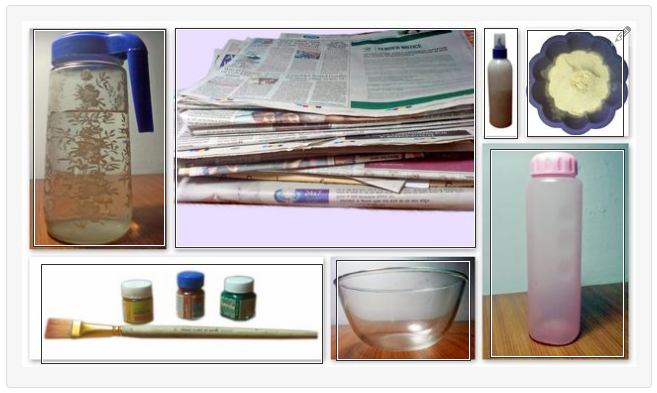 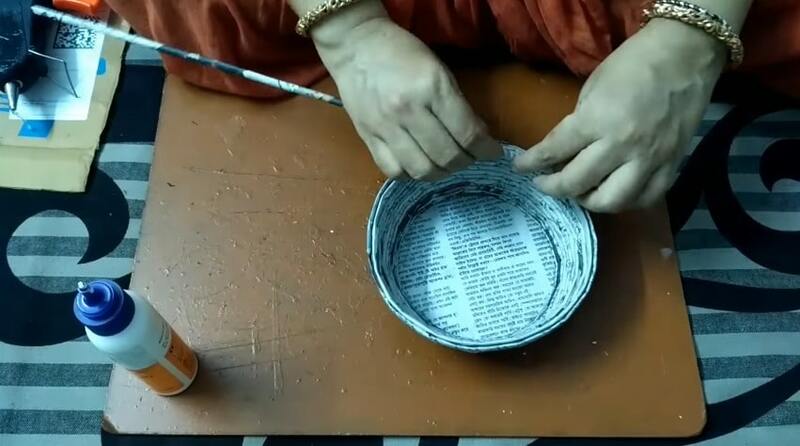 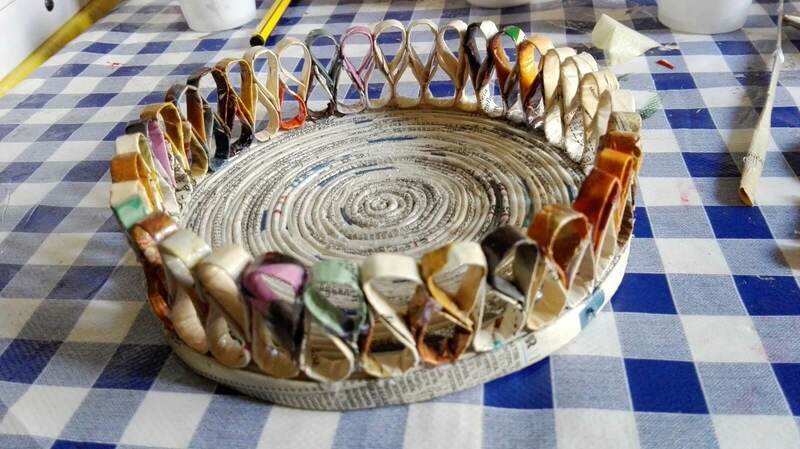 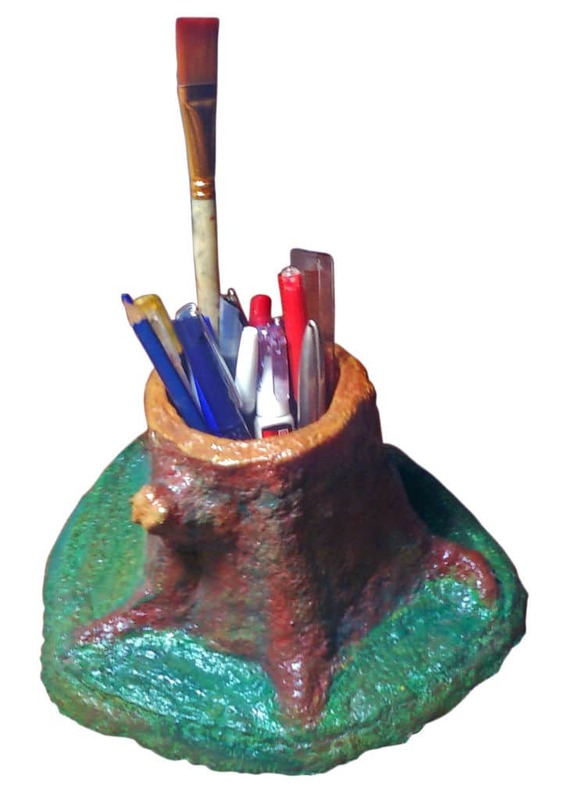 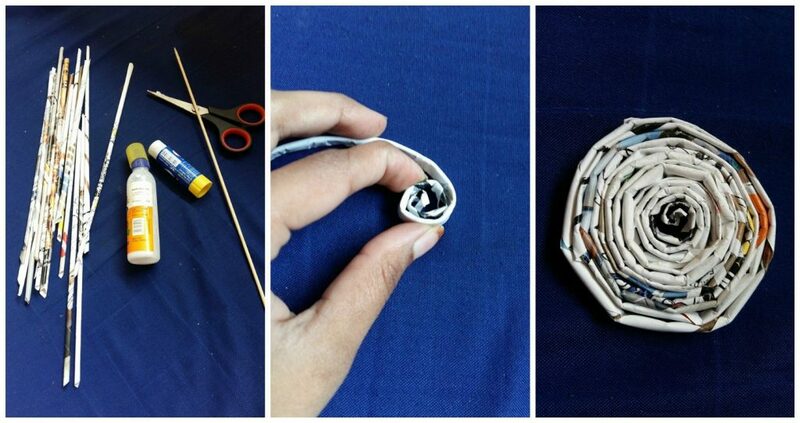 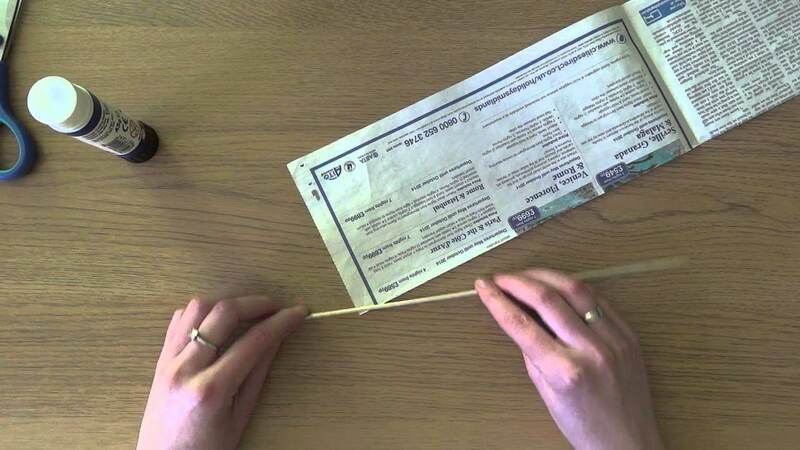 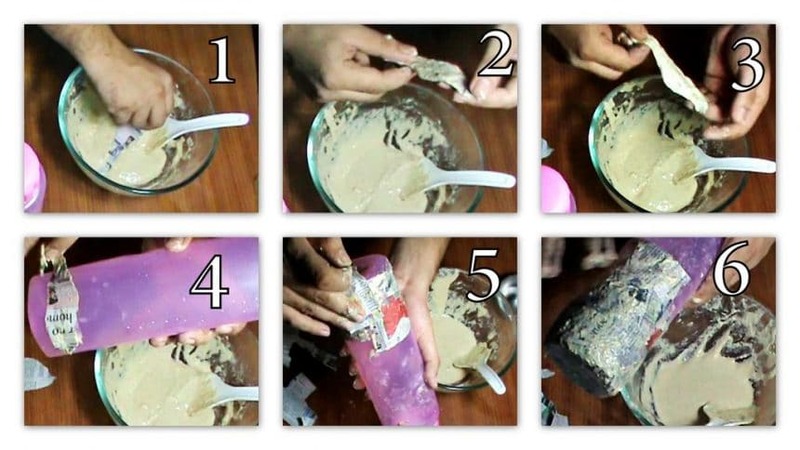 So, gather your old waste materials and get ready for some creative things to do with the newspaper. 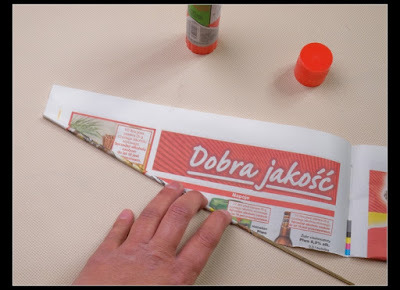 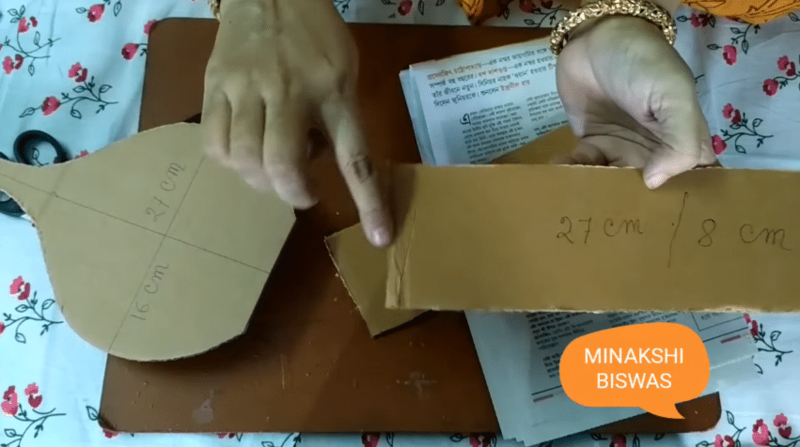 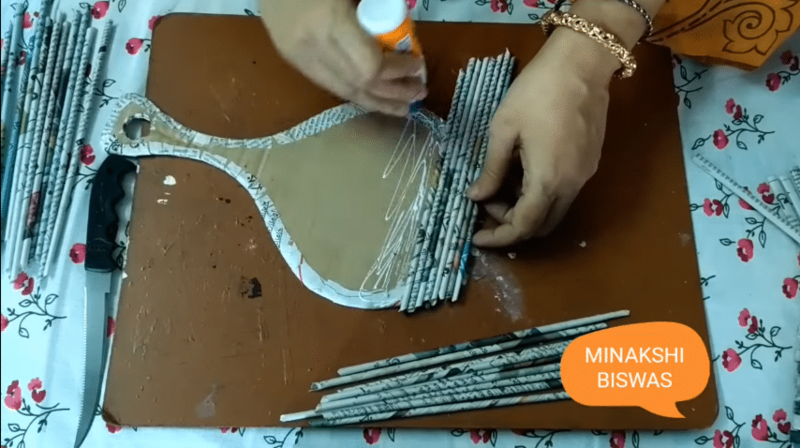 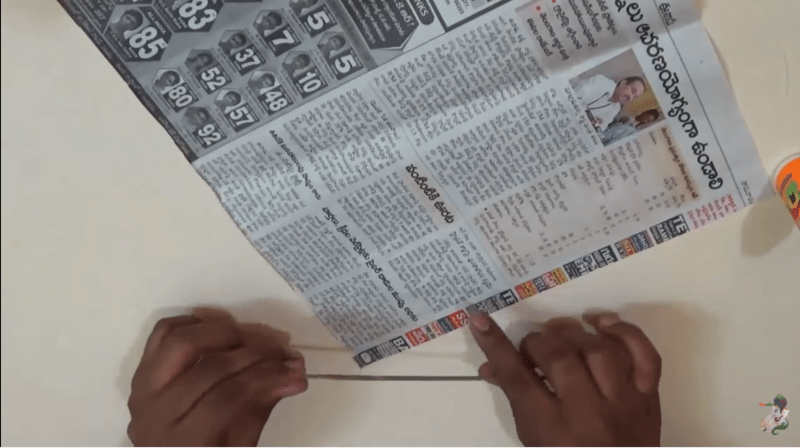 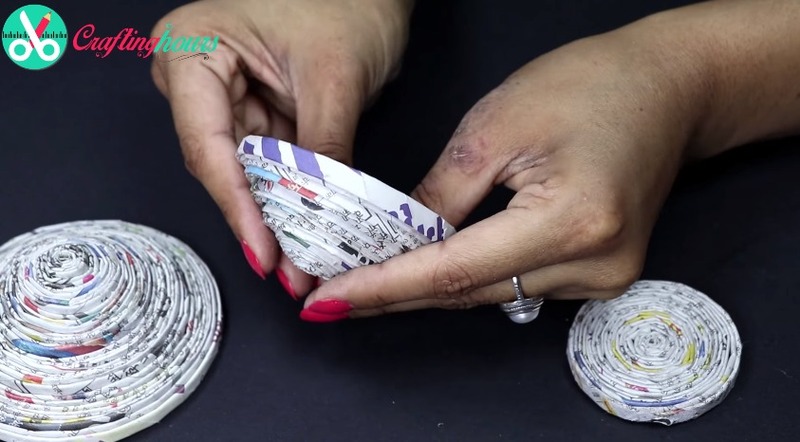 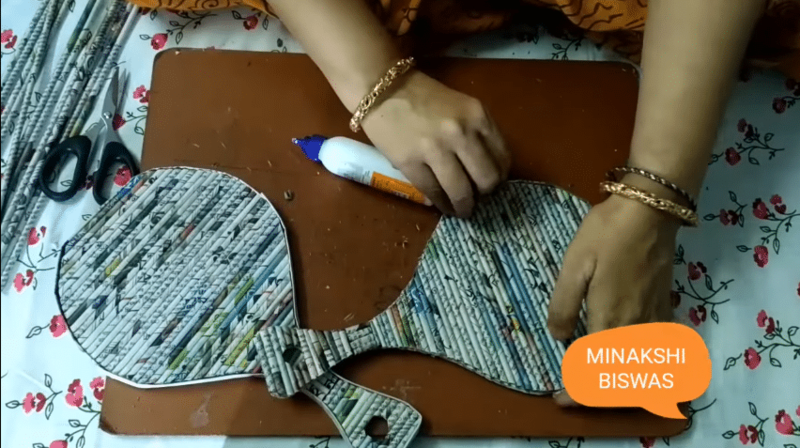 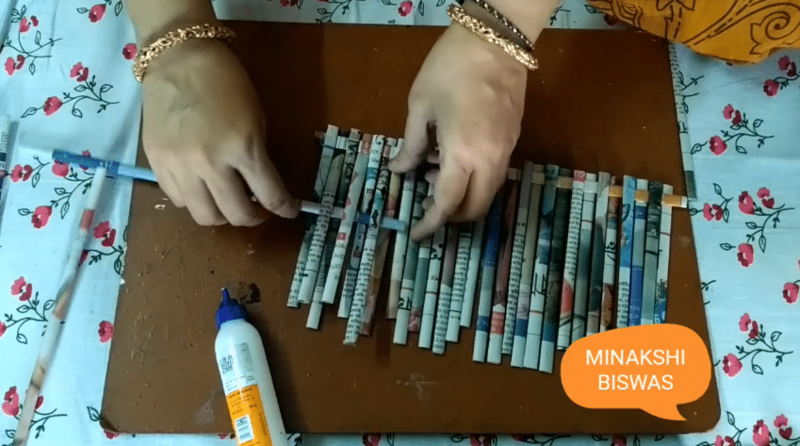 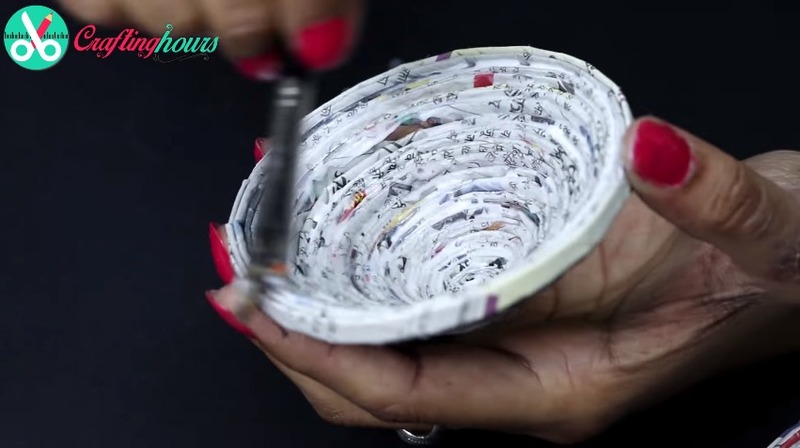 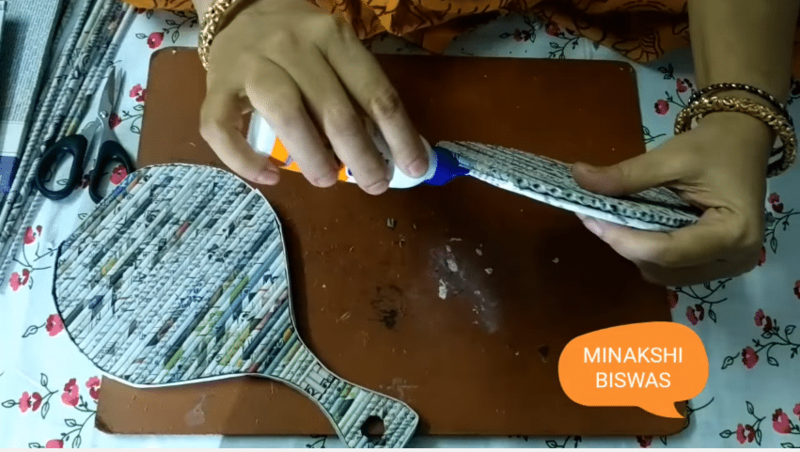 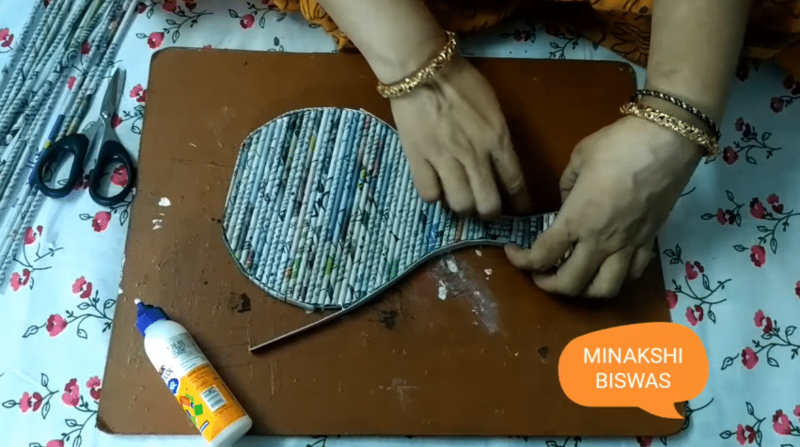 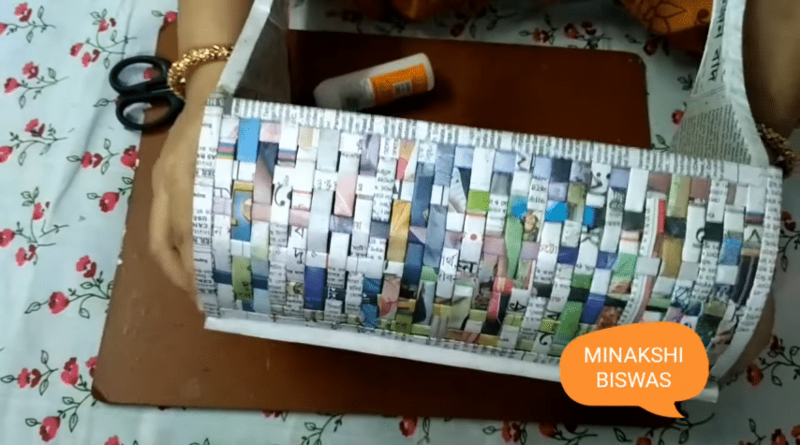 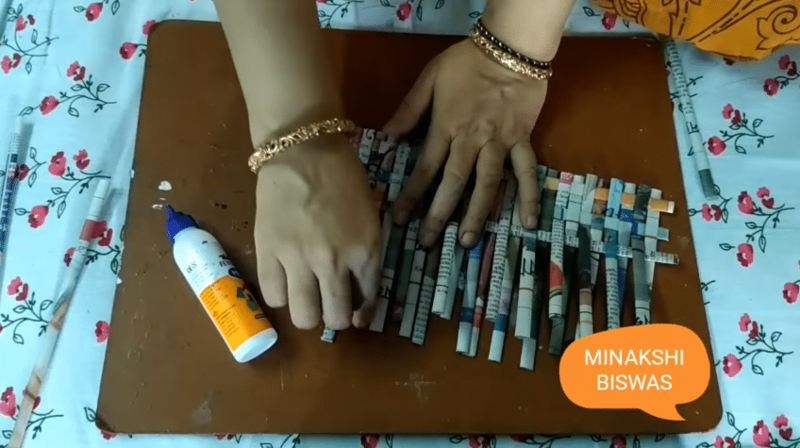 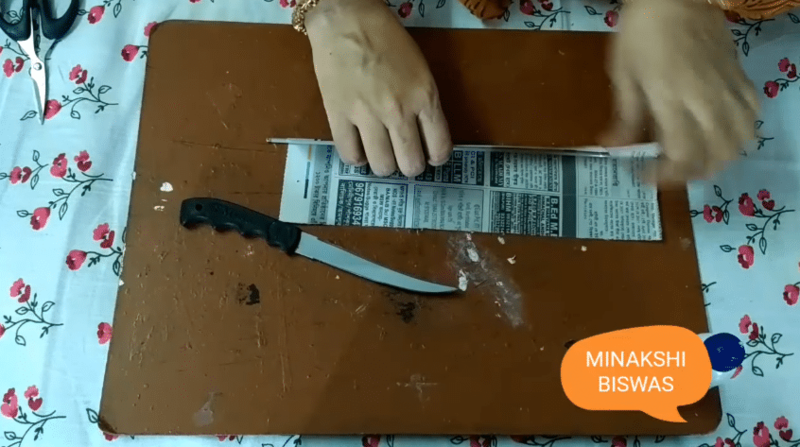 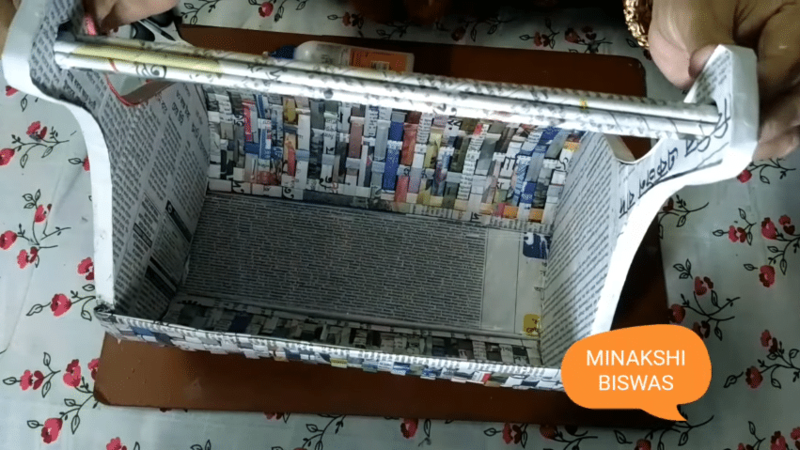 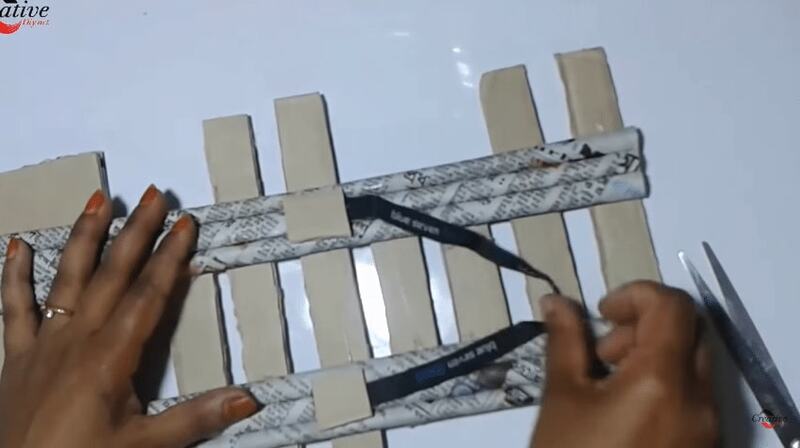 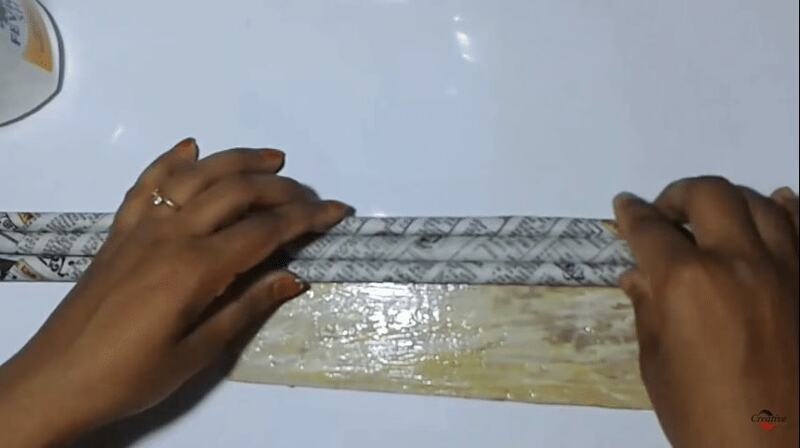 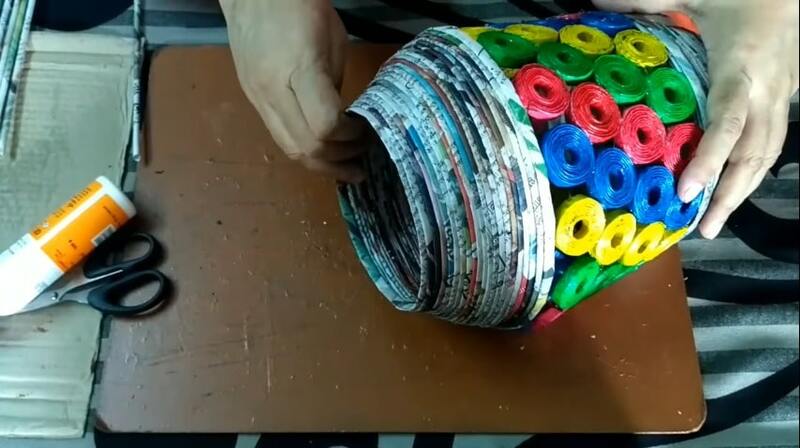 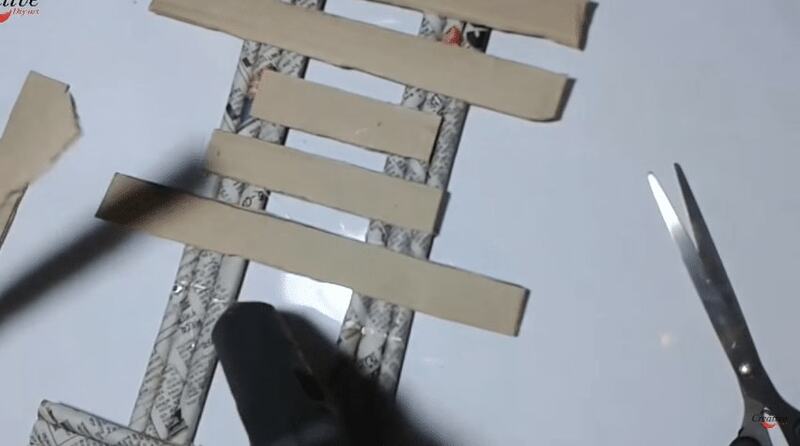 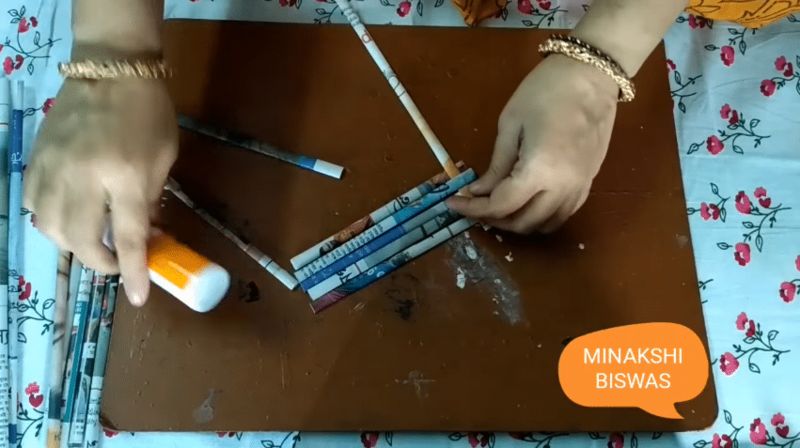 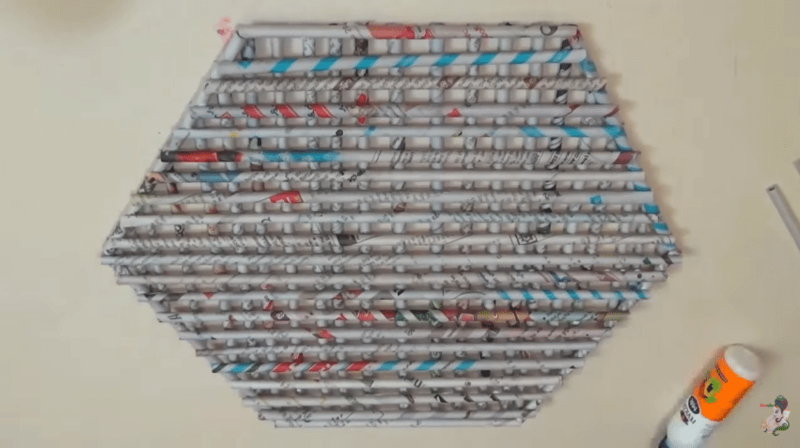 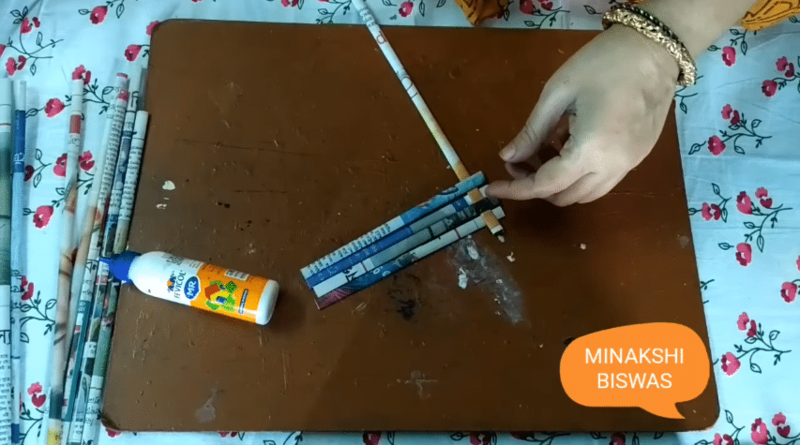 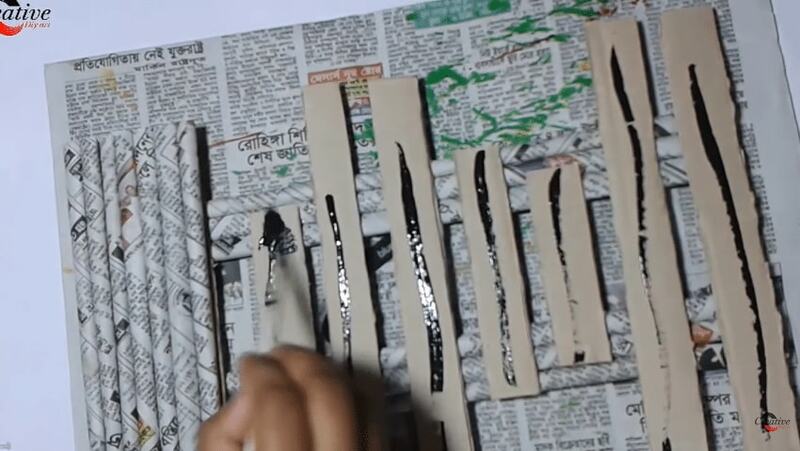 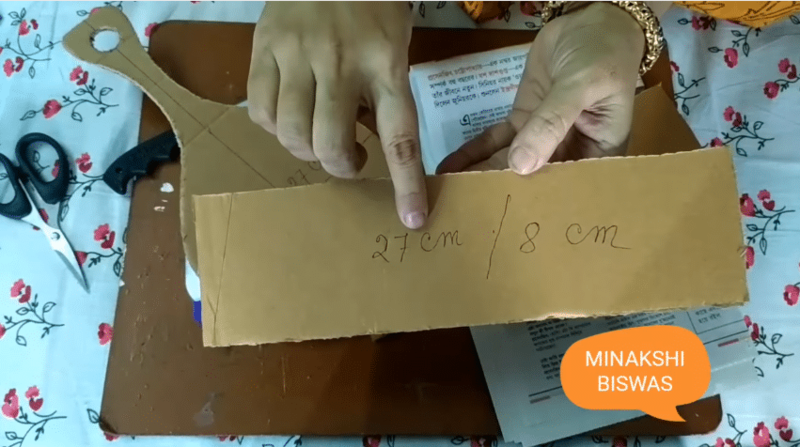 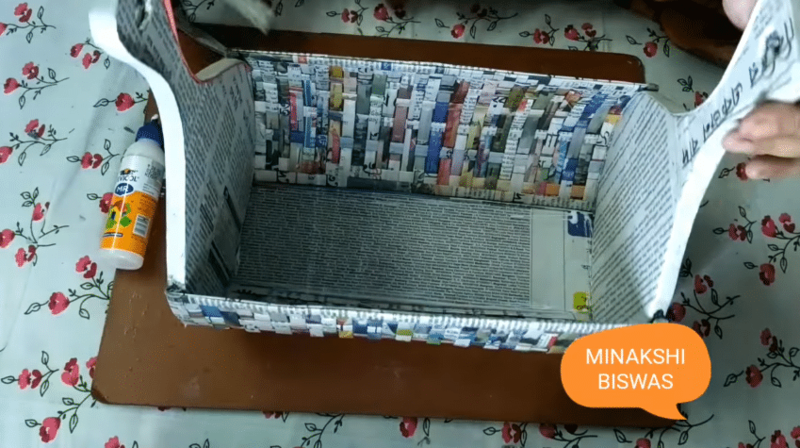 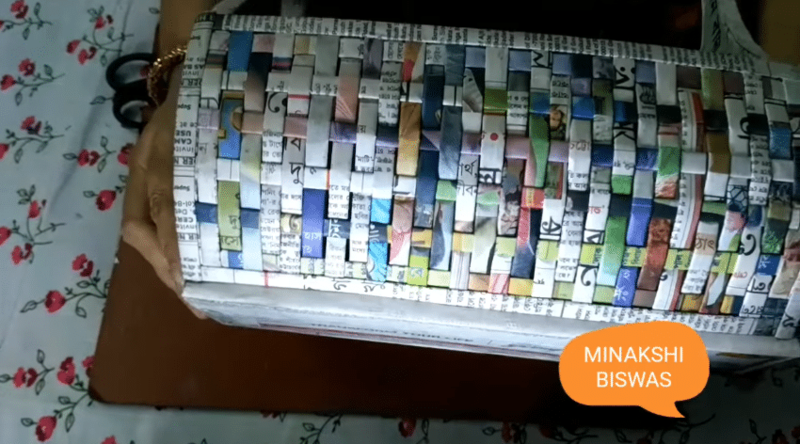 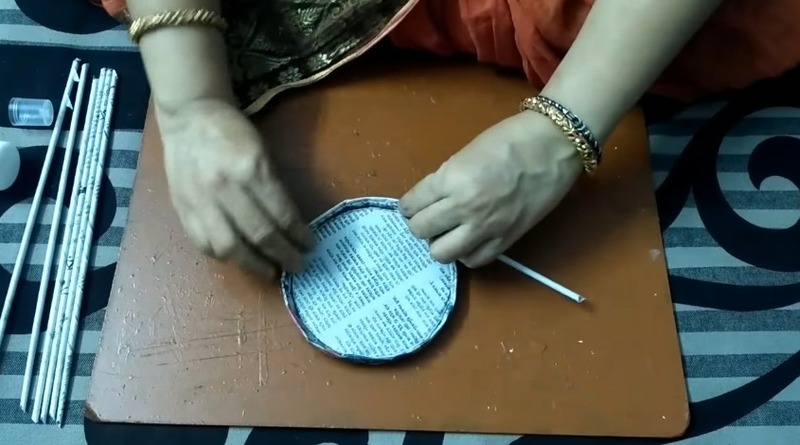 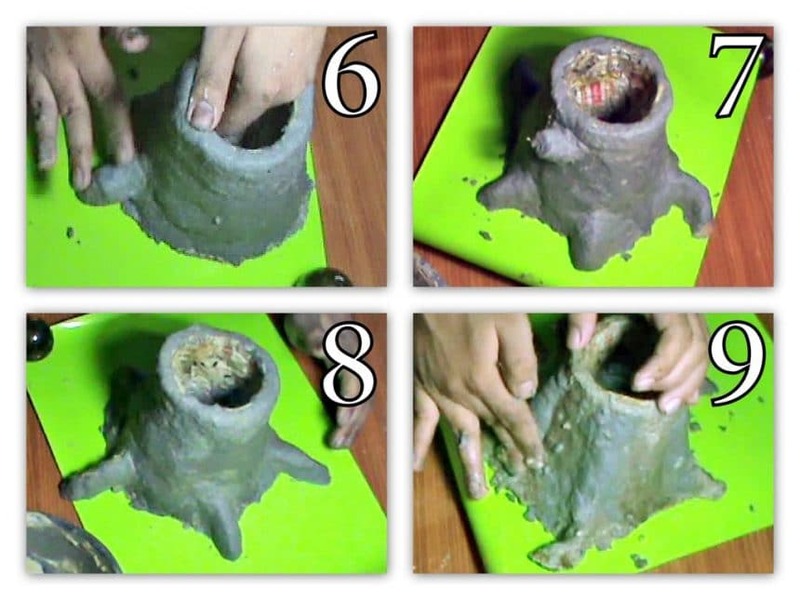 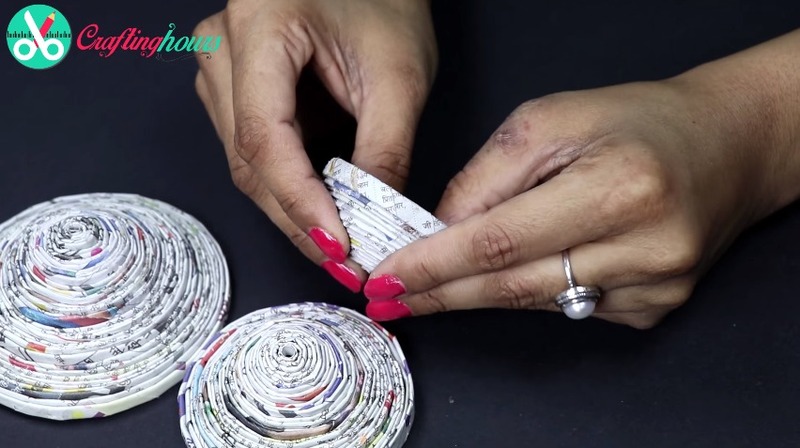 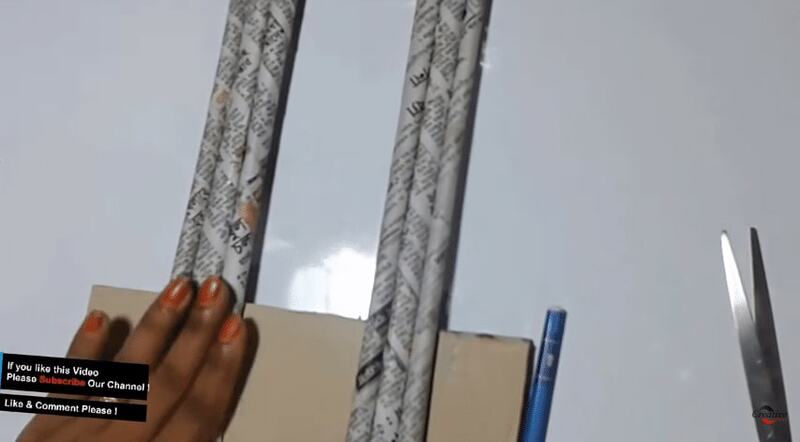 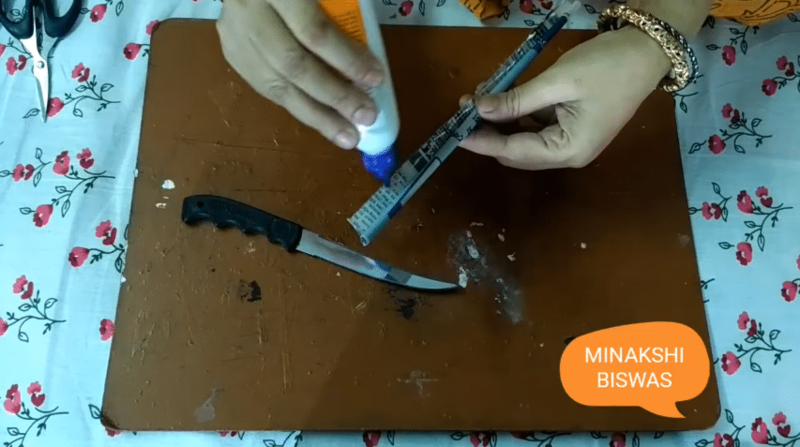 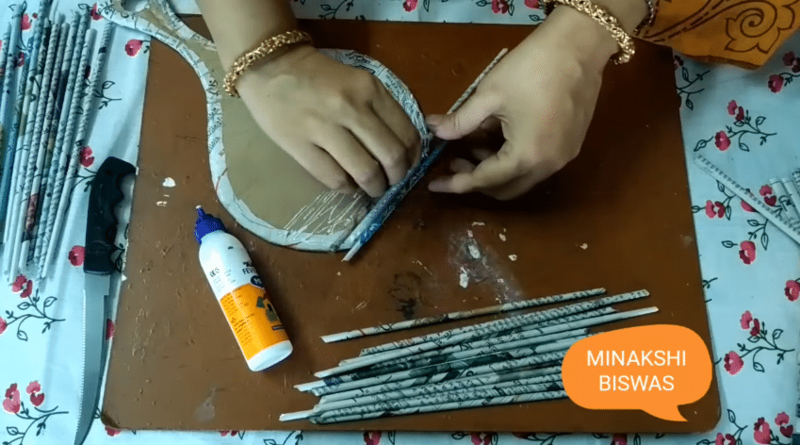 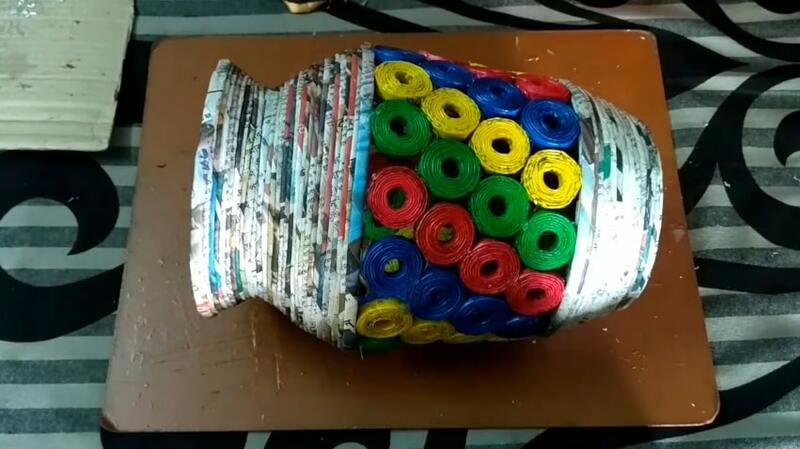 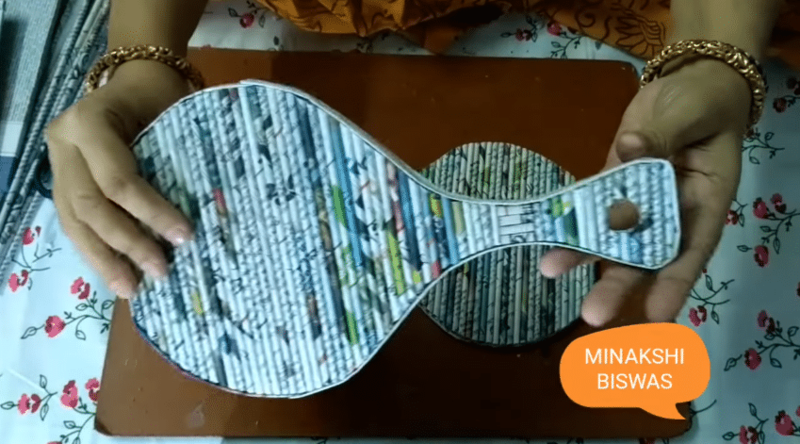 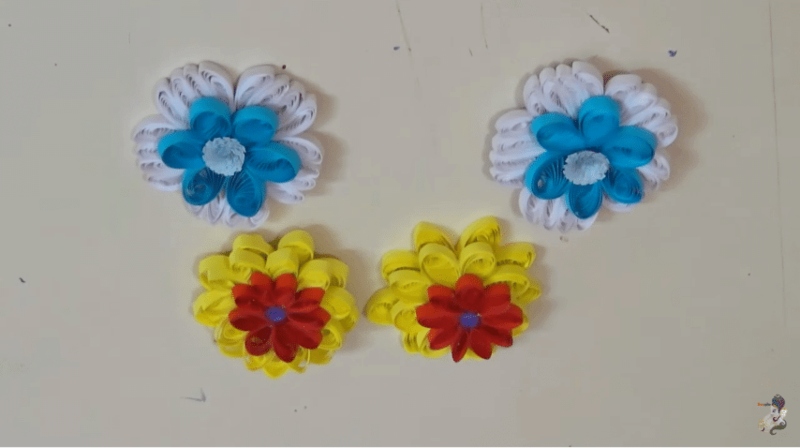 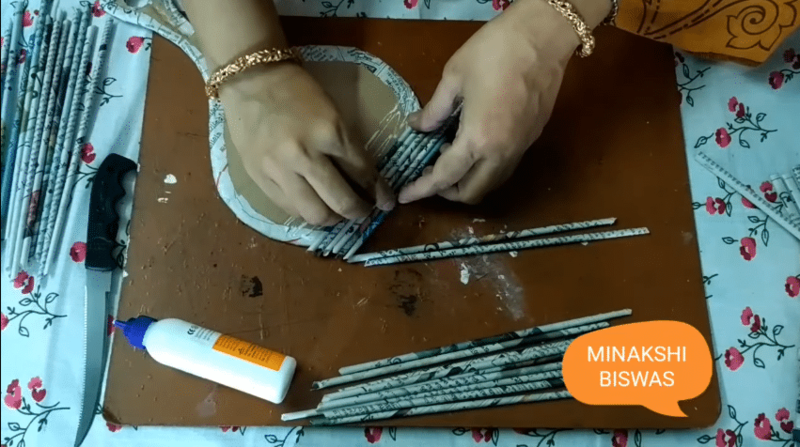 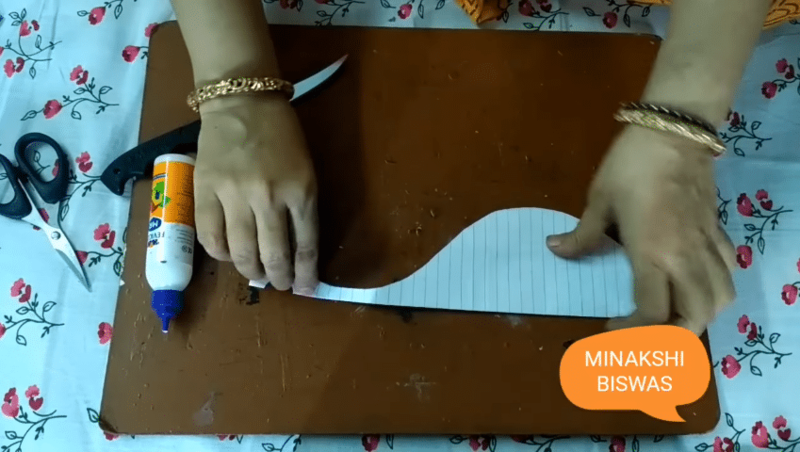 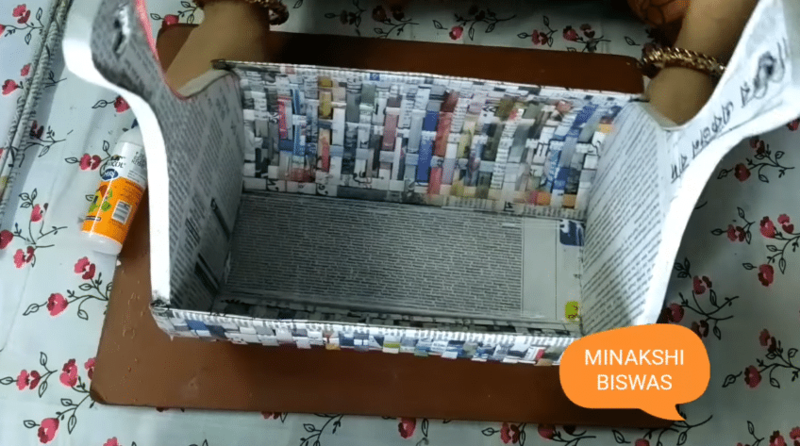 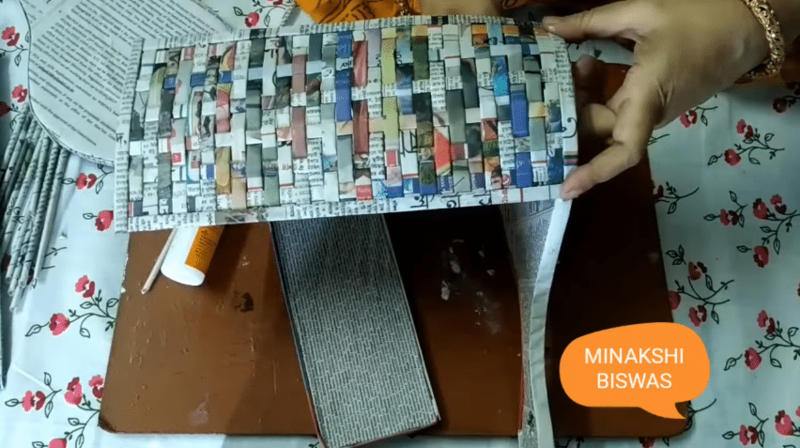 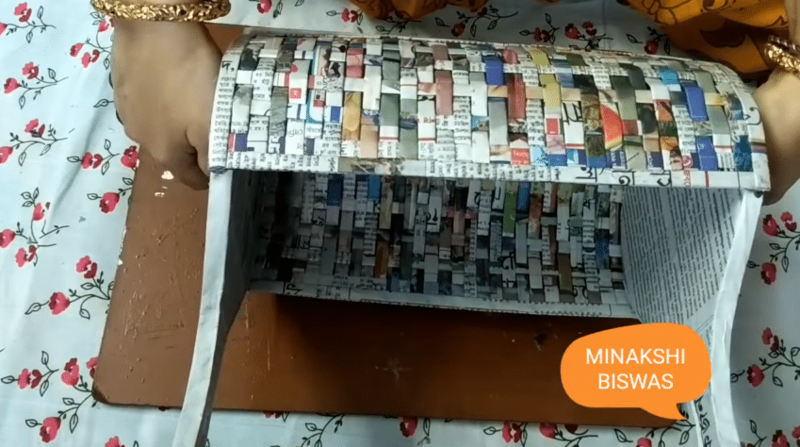 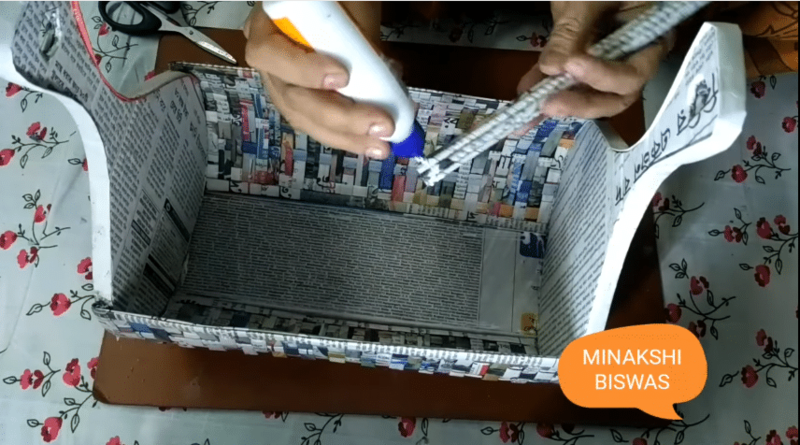 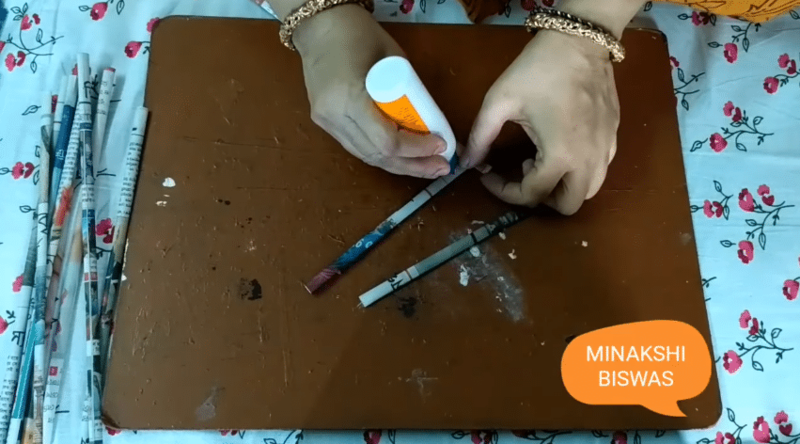 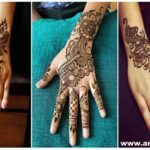 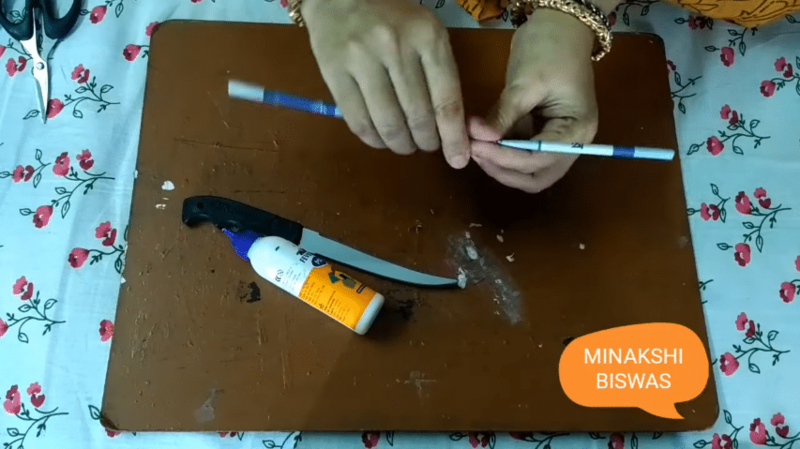 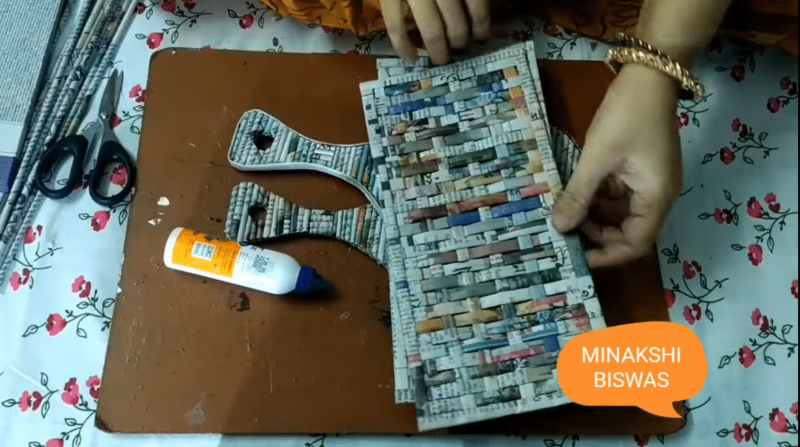 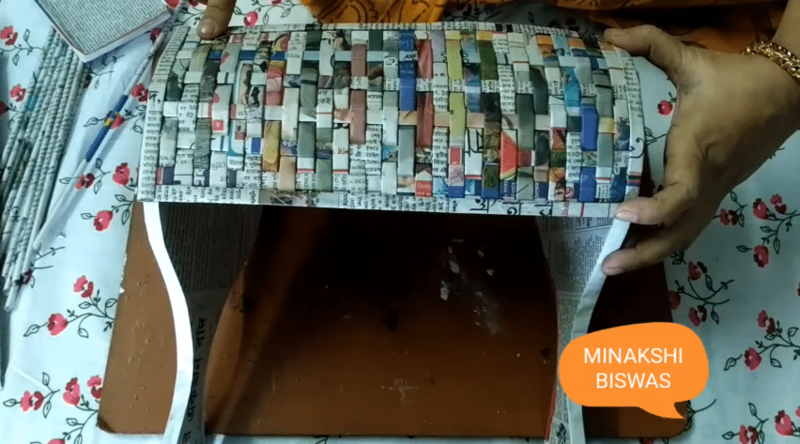 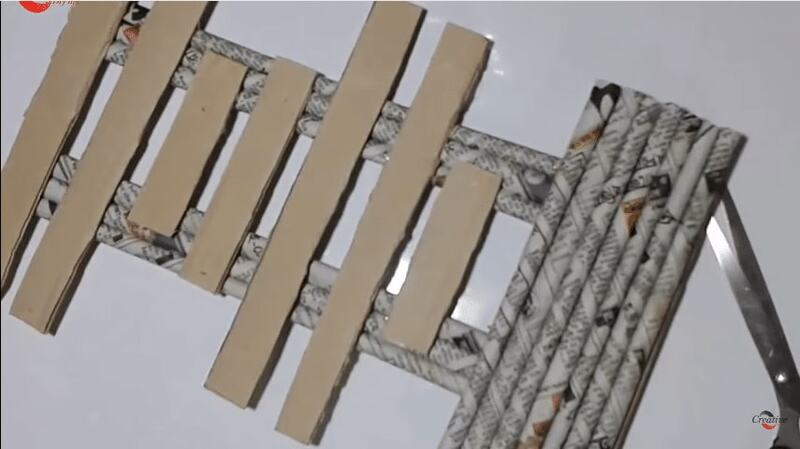 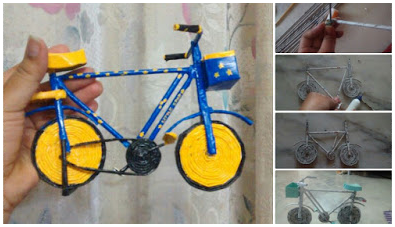 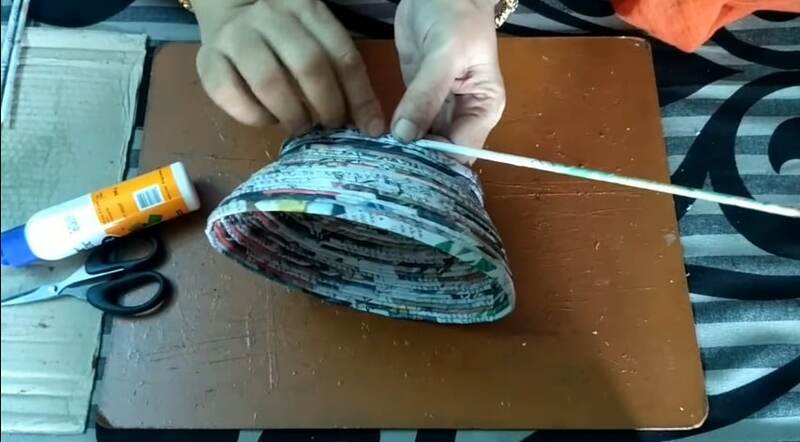 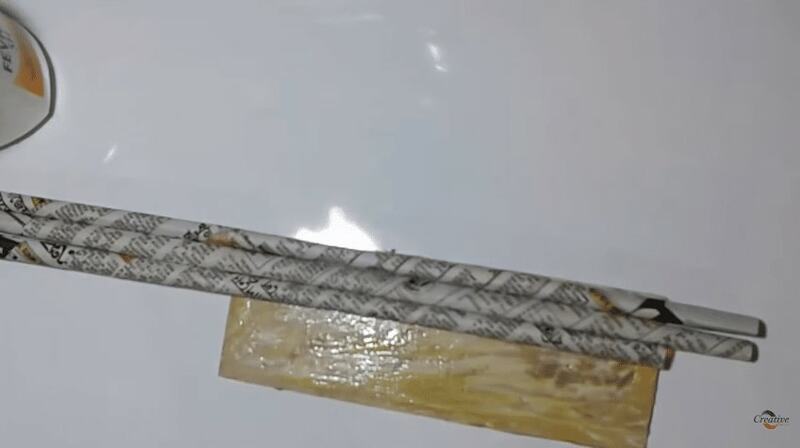 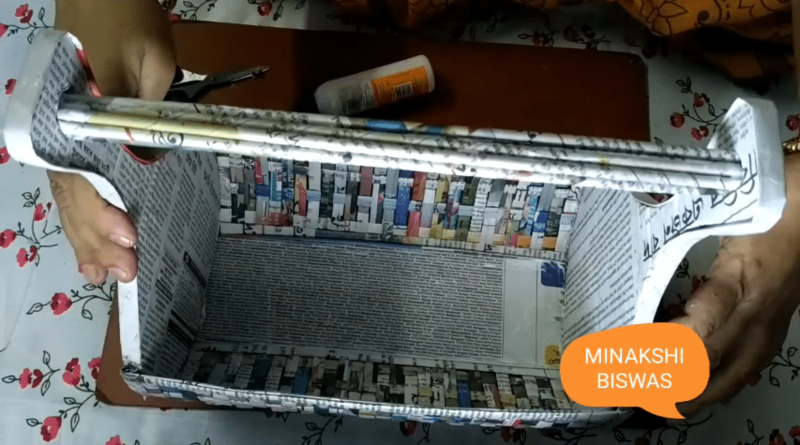 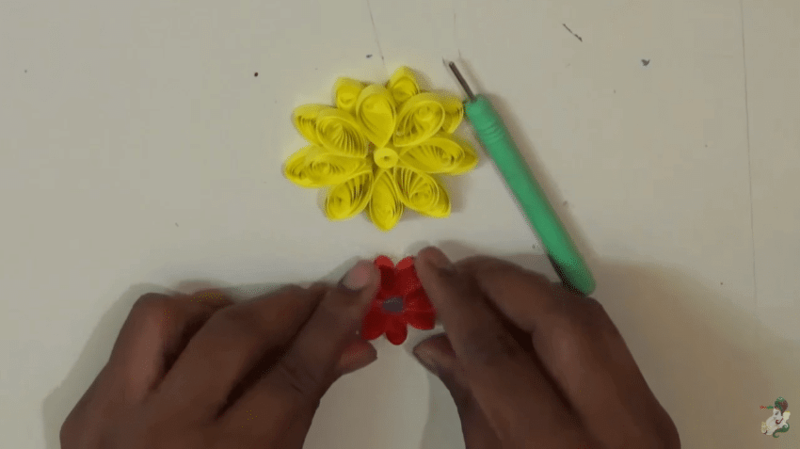 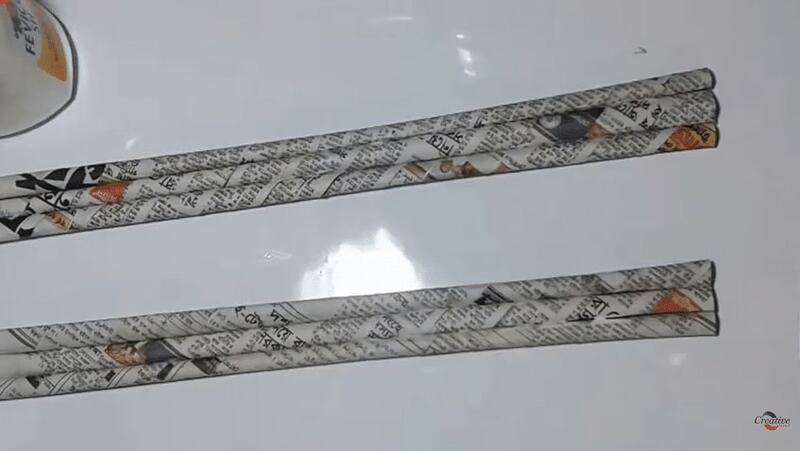 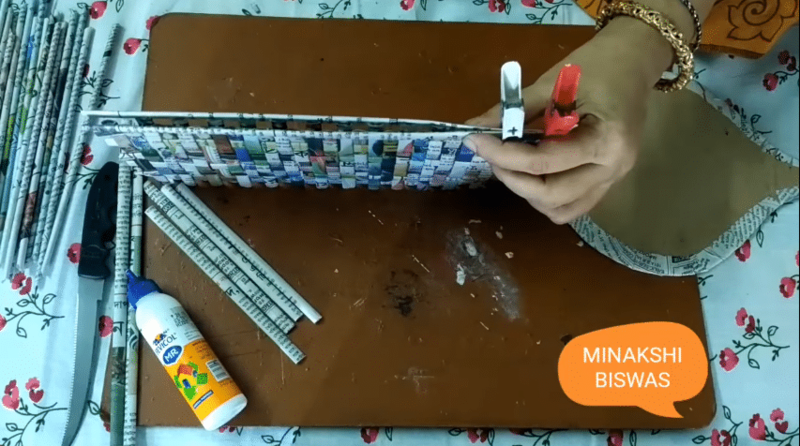 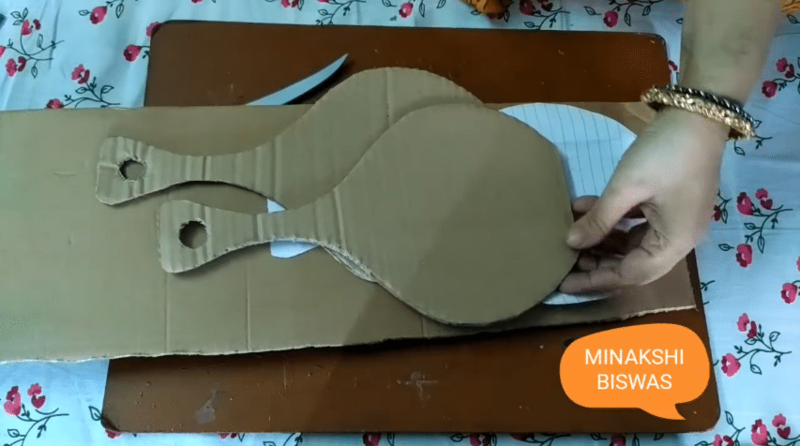 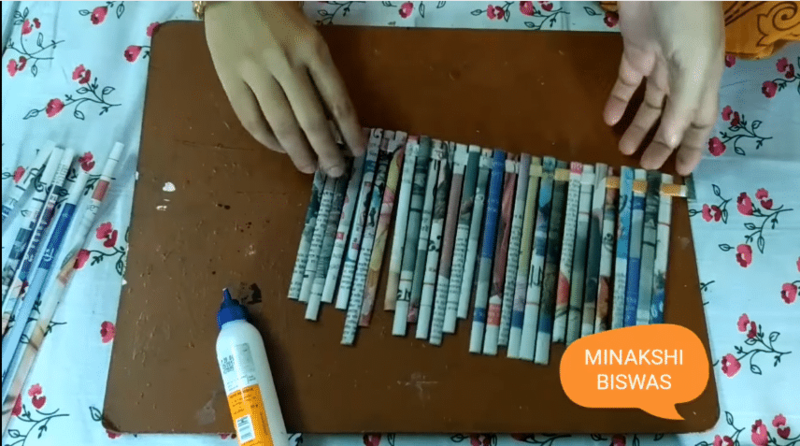 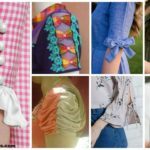 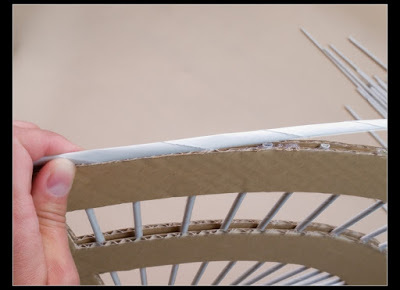 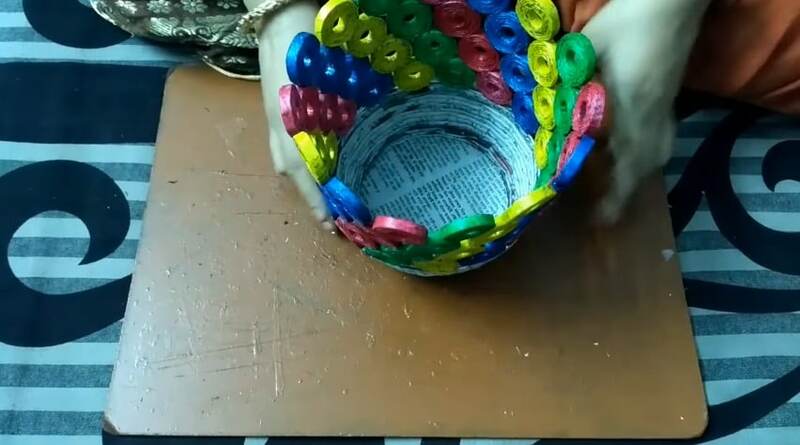 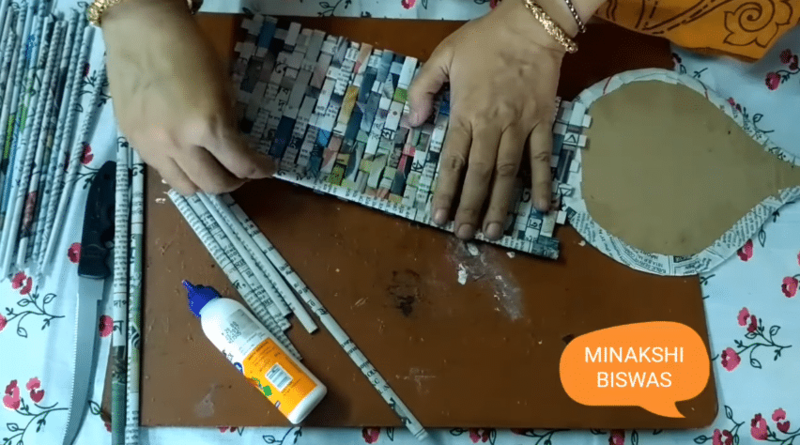 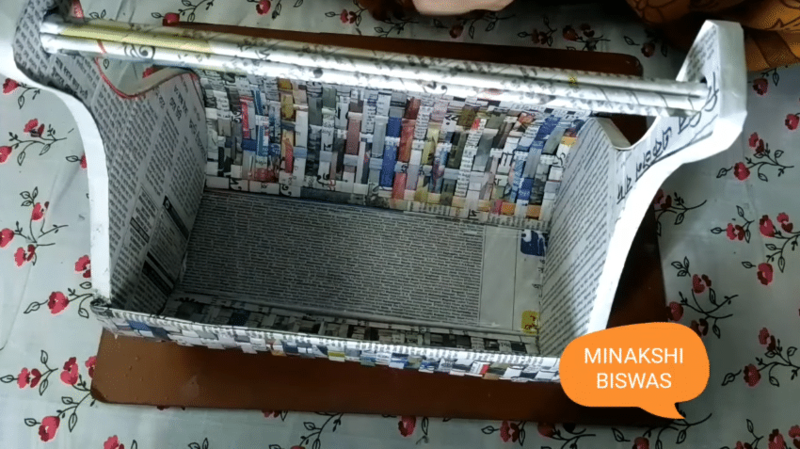 If you want more best out of waste projects or other old newspaper crafts, check out other tutorials as well on Crafting Hours!